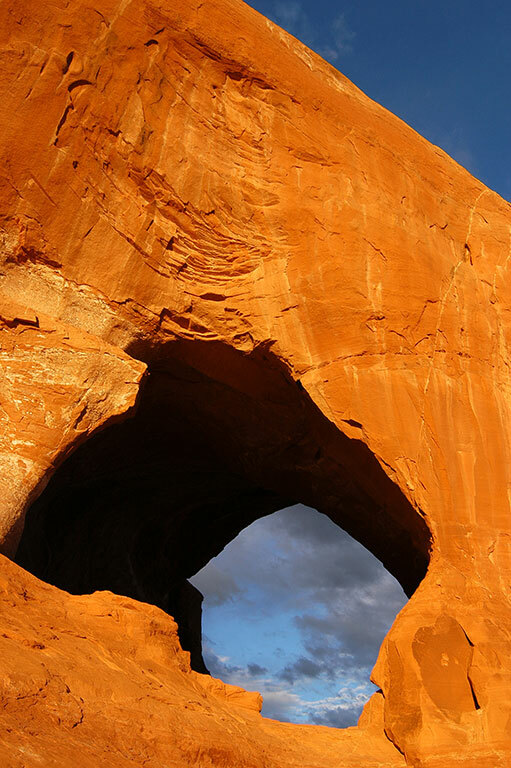 Looking Glass Rock is a handsome natural arch along U.S. 191 south of Moab, Utah, shown here at sunset. My time on the road was uneventful. I made a few nice images. 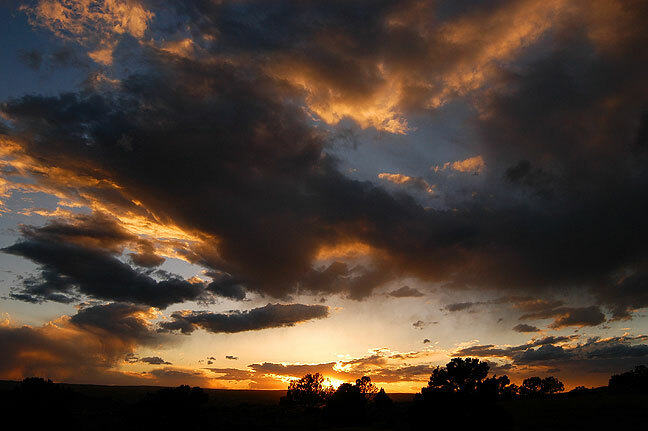 I stopped for night in Farmington, New Mexico. I was up early in Farmington after the long drive from Oklahoma the day before. I was at Shiprock by 8 am. 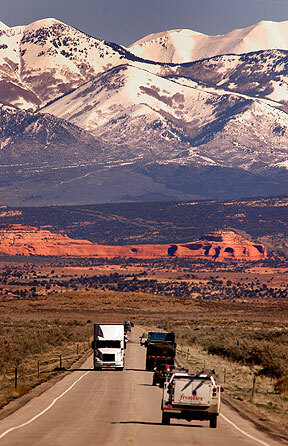 I tried several rutted, rough roads, and was able to drive to the Shiprock Peak. It was gloomy, so I shot it in black-and-white. I called Abby every chance I got. The road on the right approaches to Shipwreck Peak. 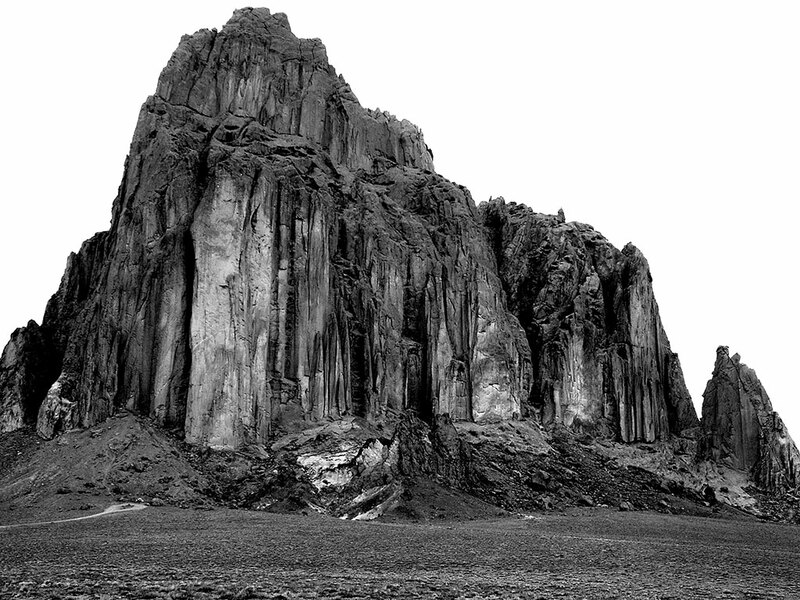 In the dense morning grey, Shiprock takes on a deep, brooding appearance. 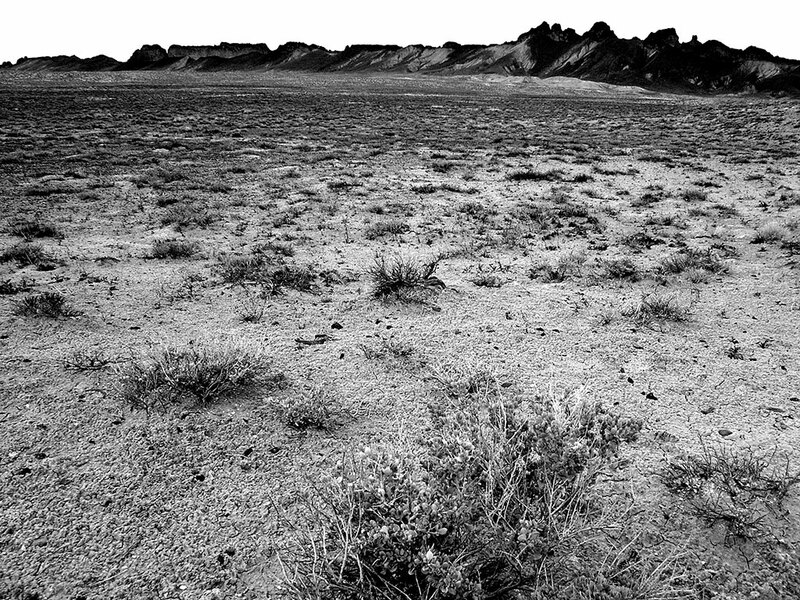 The open desert around Shiprock is also very compelling, as in this image as I egressed from the feature. 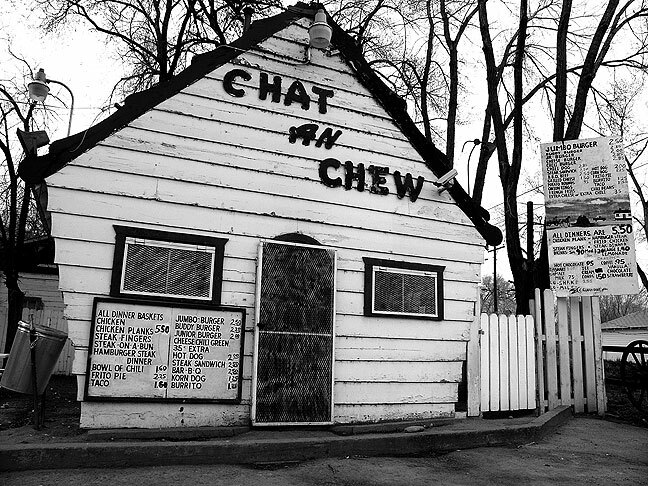 I found the Chat N Chew restaurant in the Fruitland Valley in northwestern New Mexico. The author hikes in the vicinity of the Squaw Flat Campground. 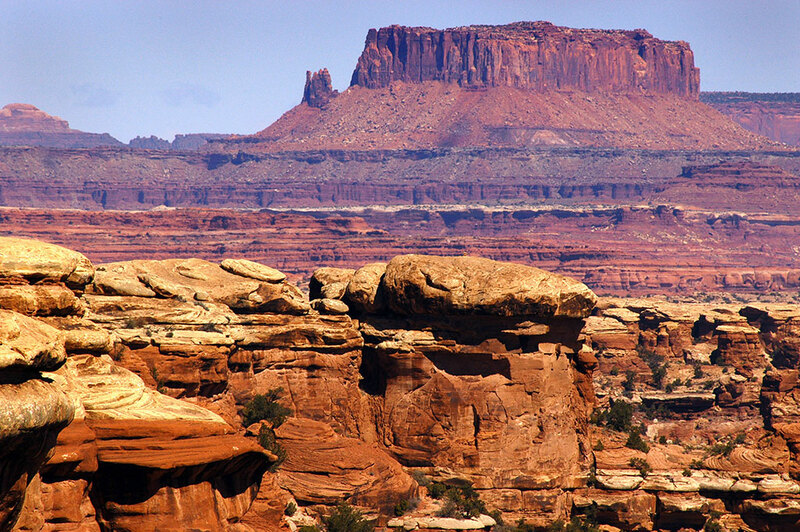 I drove to Canyonlands and was on the trails by midday. 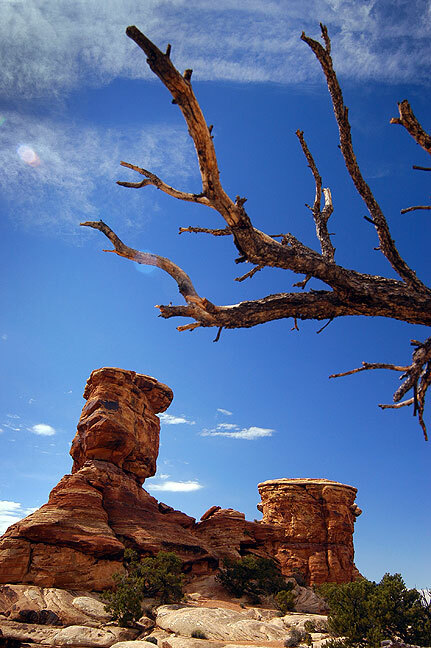 Among my hikes were the Slickrock Foot Trail, the Pothole Point Trail, the Squaw Flat Trail, and the Cove Spring Trail. 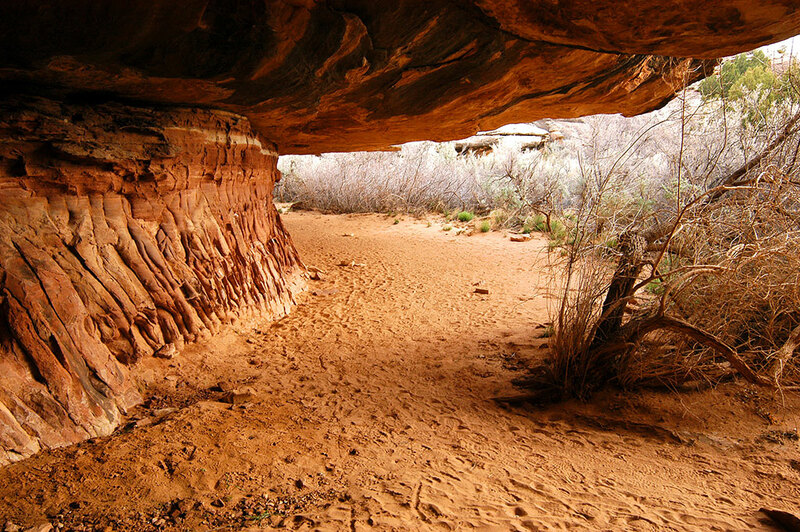 The short, easy Cove Spring hike near the Canyonlands National Park’s Needles District entrance, is a good warm-up hike to start the day. 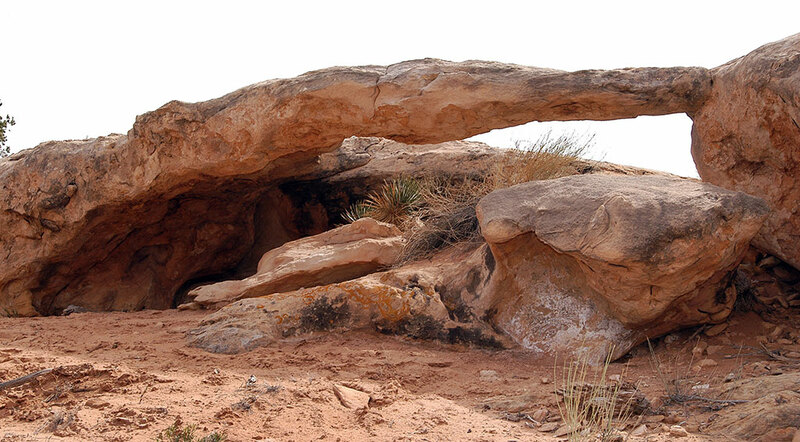 This small natural arch is near the trail head on the Slickrock Foot Trail at Canyonlands. 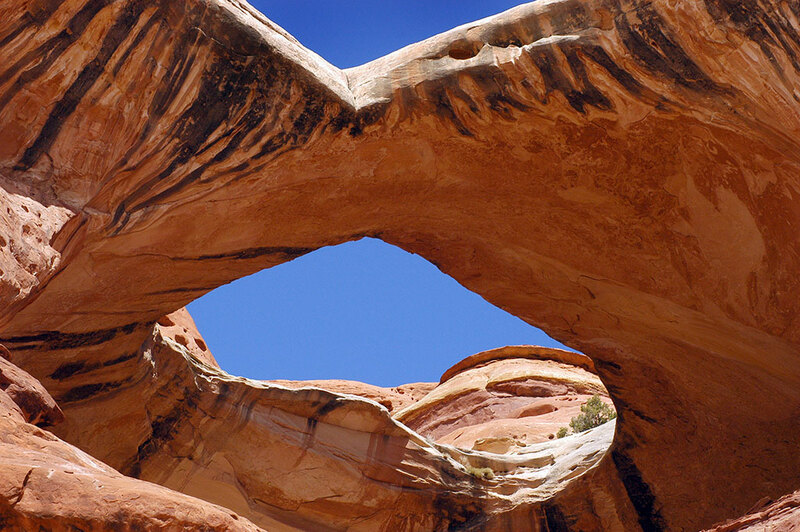 When I tried to look it up, I found it to be poorly-documented, and this photo was among the first on sites documenting natural arches. 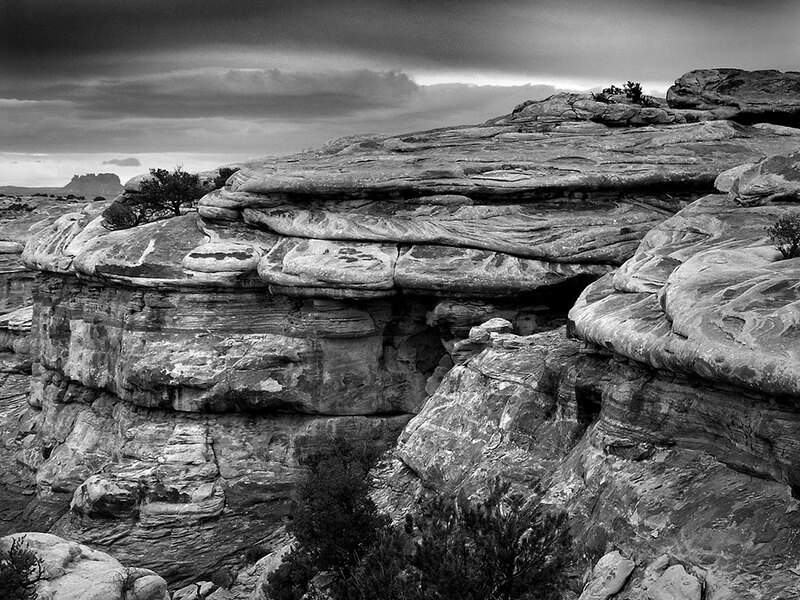 Faced with flat, grey light as I hiked the Slickrock Foot Trail, I decided to shoot black-and-white and edit for a deep, dark, moody look. 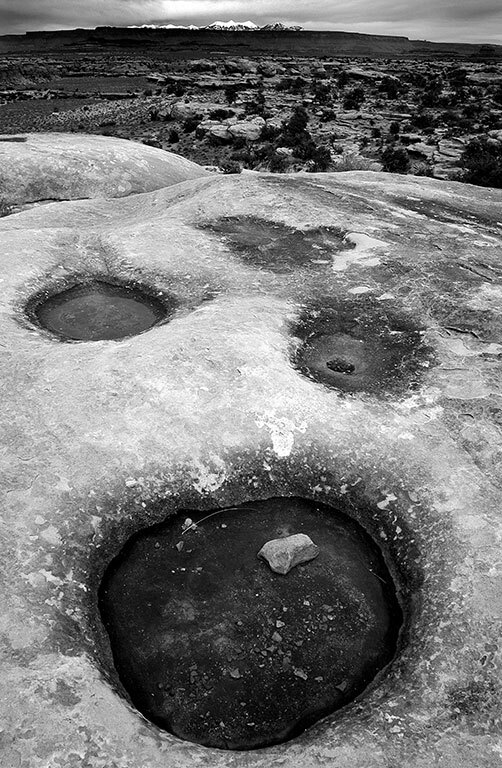 This image from the Slickrock Foot Trail looks like a face. 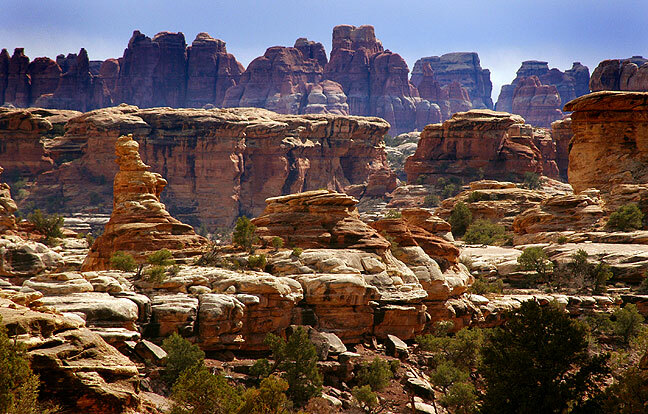 The canyons and benches get taller and more impressive toward the north end of the Slickrock Foot Trail at Canyonlands. 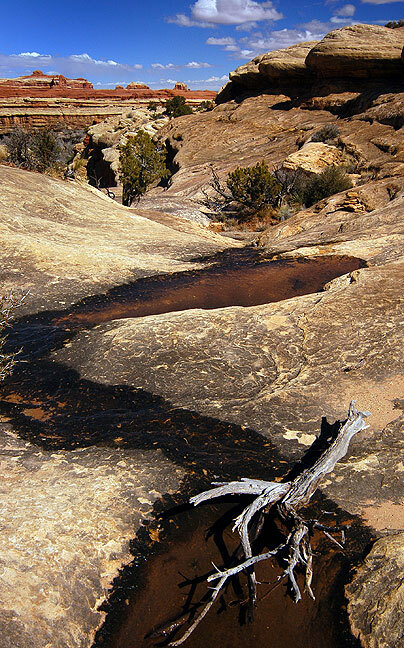 Rainwater fills potholes on the Pothole Point trail. 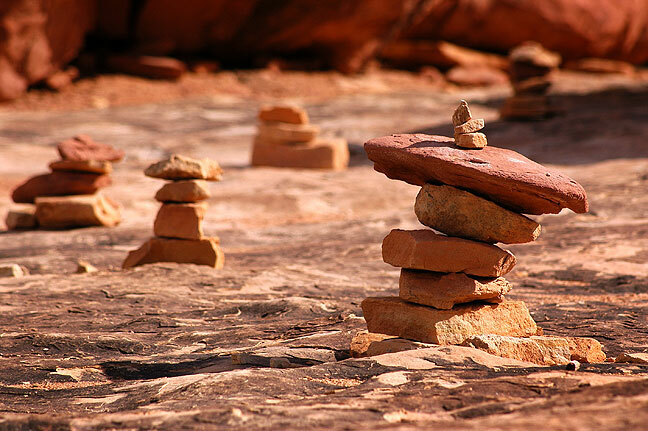 Trail cairns stand along an area of open slickrock on the Pothole Point trail. All of the potholes on the Pothole Point Trail had water in them. 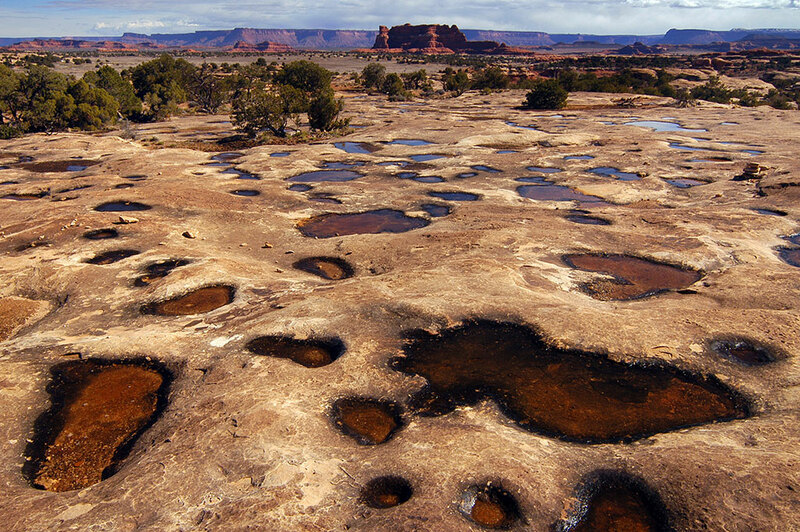 There are organisms that go through their entire life cycles in the wet-to-dry period of these potholes. This handsome view looks south from the Pothole Point Trail, and shows Sixshooter Peak in the distance. 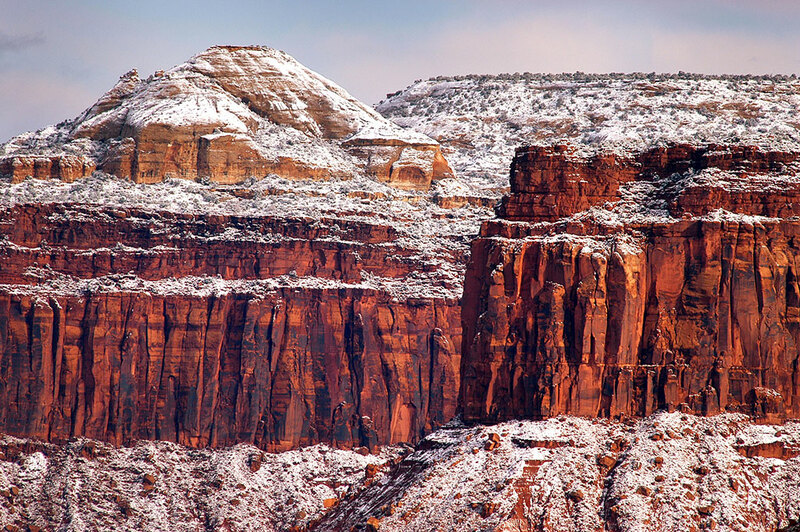 Spires rise near the Confluence trail head at Canyonlands. 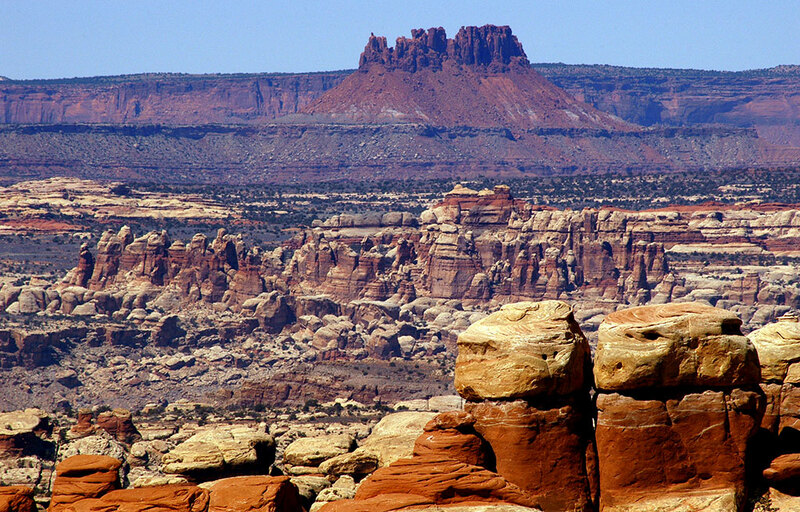 This view looks from the road near the Confluence Overlook trail, in the northern reaches of the Needles district of Canyonlands. Dead tree and spires stand near the Confluence trail head. 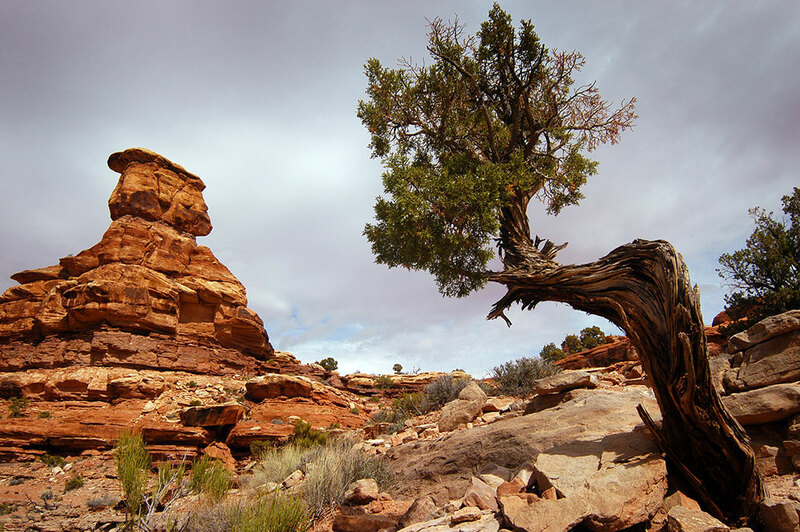 A tree clings to a rock outcropping at the Confluence trail head. 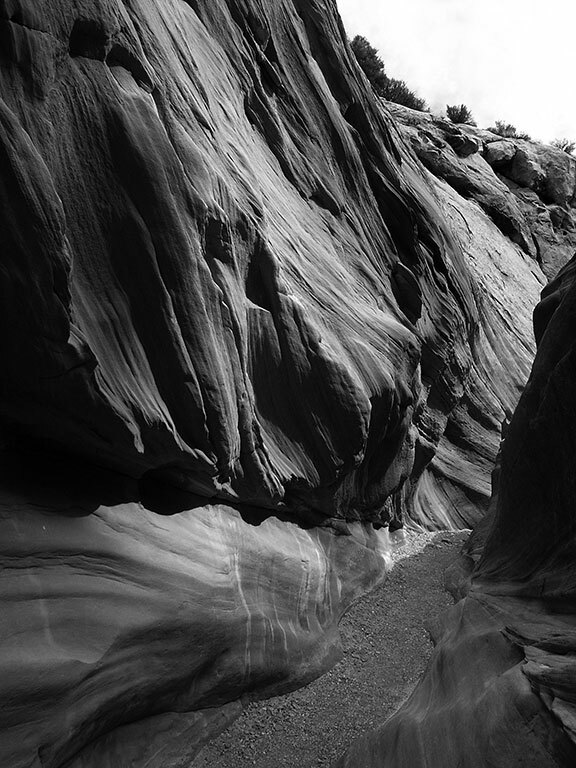 Exploring deeper in the area of the Confluence trail head, I found this dark, mysterious passage. 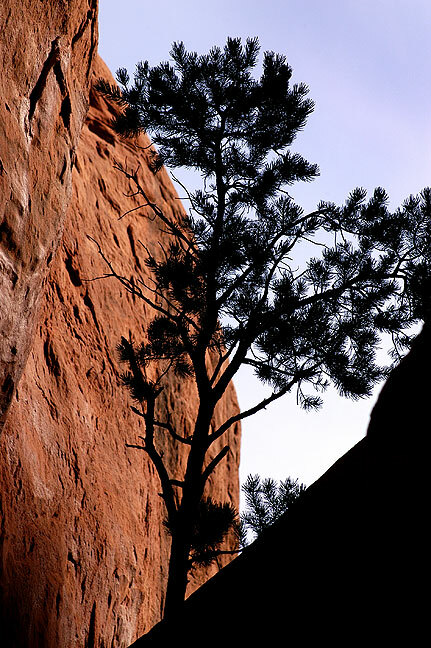 This tree stands in a gap near the Squaw Flat campground, Needles district, Canyonlands. 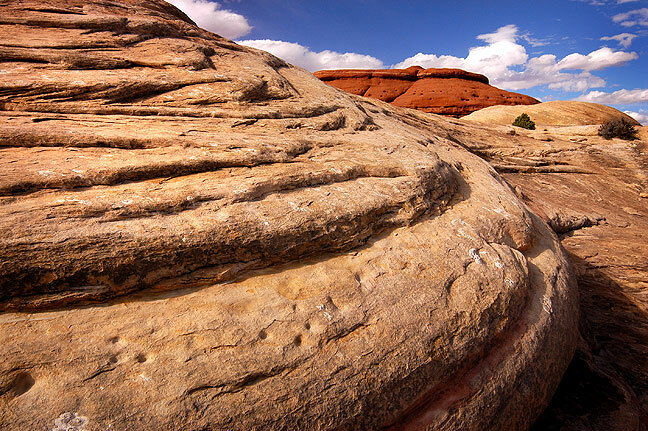 Swirling sandstone formations stand in the heart of the Needles district of Canyonlands. 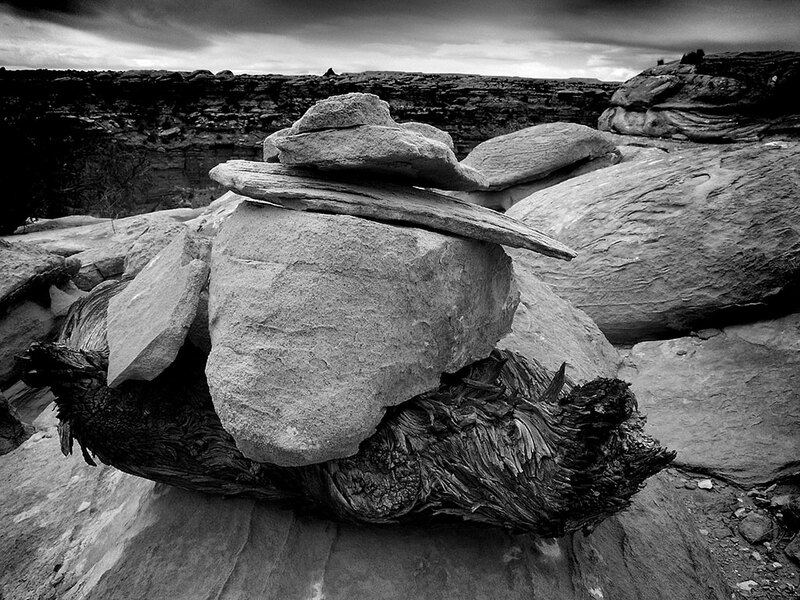 A boulder sits on the Cedar Mesa sandstone trail near the Squaw Flat campground. I ended the day at Looking Glass Rock for excellent last light. 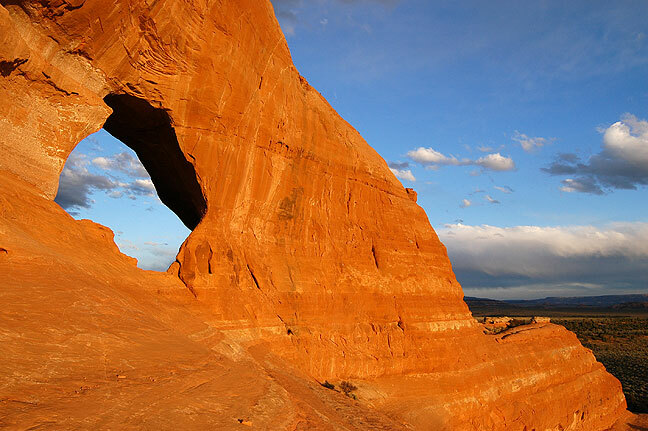 This feature is only a mile southwest on a graded gravel road from U.S. 191 south of Moab, near Wilson Arch. The two make a good one-two sunset stop. Looking Glass Rock picks up evening sun. My shadow rises up the slope at Looking Glass Rock at sunset. Looking Glass Rock has a nice opening though which open sky is visible, and it faces west, making it a good and easy-to-access sunset spot. The east side of Looking Glass Rock isn’t as beautiful, at least not at sunset. It might be interesting to see it at sunrise. 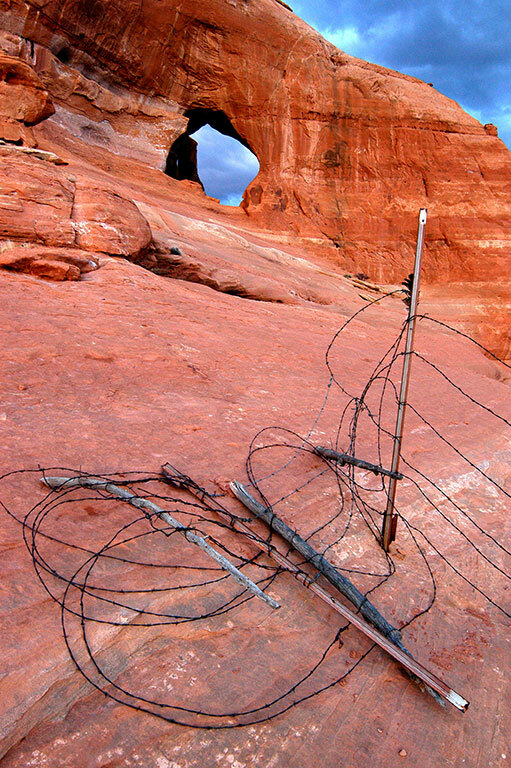 After sunset at Looking Glass Rock I made this image of some barbed wire, which I presume is a private property boundary. 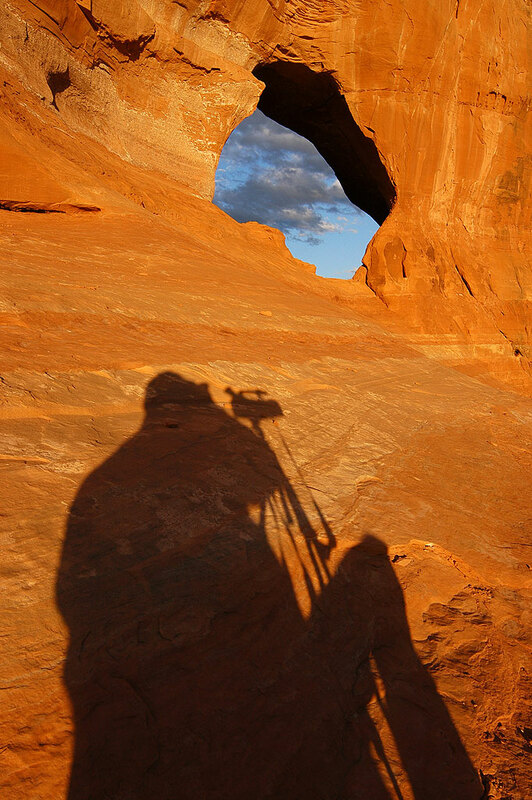 I shot this sunset at the end of my Looking Glass Rock shoot, after the light had disappeared from the formation. 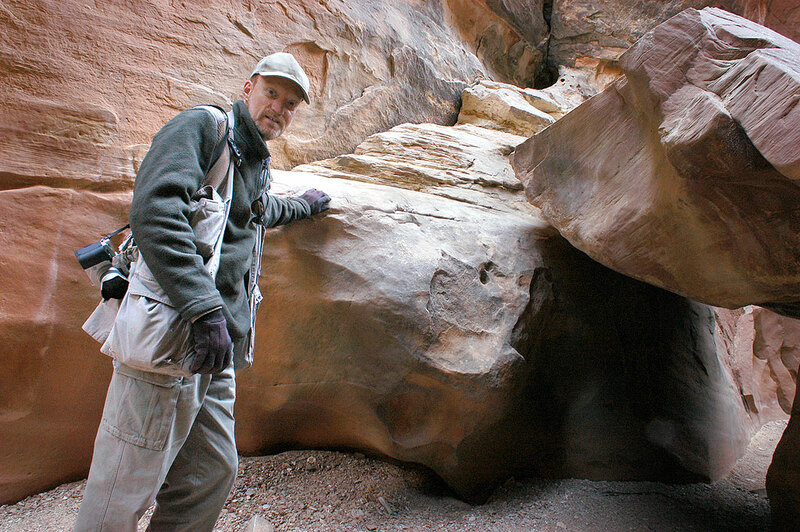 You host pauses for a self-portrait before squeezing under a boulder in Little Wild Horse Canyon. 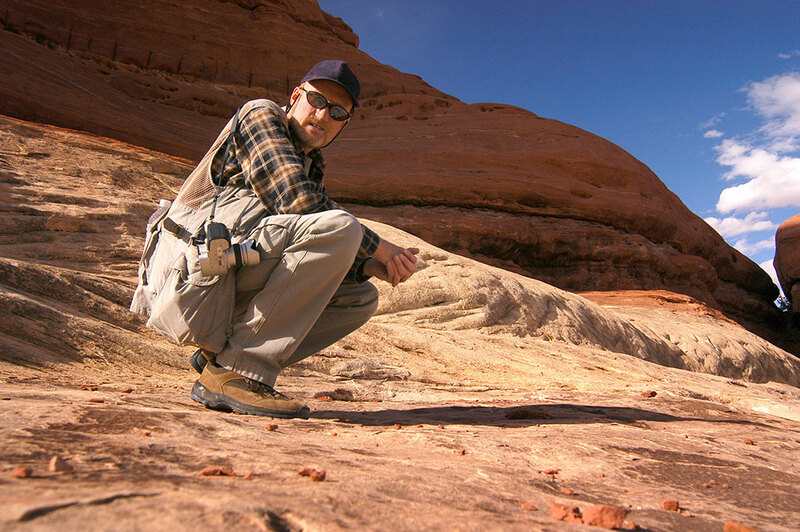 I made an excellent hike at Little Wild Horse and Bell Canyons in the San Rafael Swell. The day started out pretty cold, but the sun was out, and it was warming up by midday. My hikes totaled 9.2 miles, including some fairly narrow slots that required a bit of squeezing. 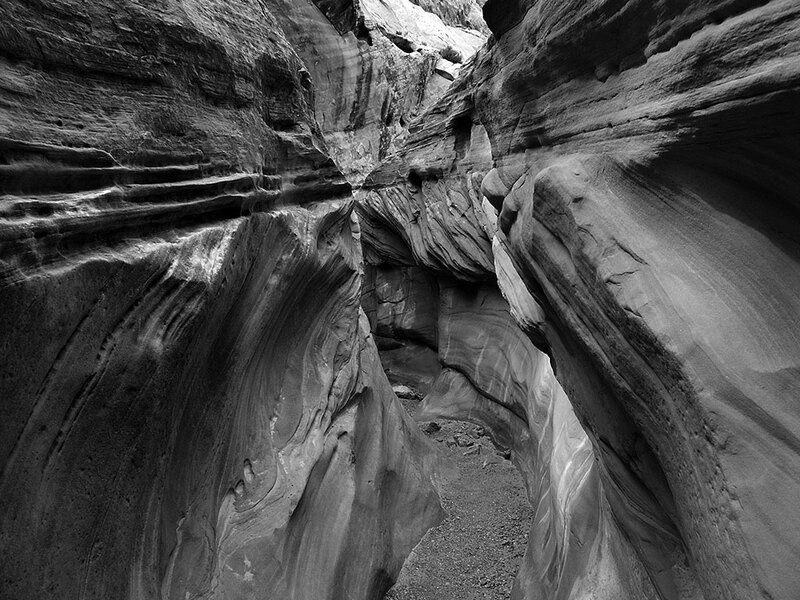 This is a modestly narrow slot in Little Wild Horse Canyon in the San Rafael Swell. 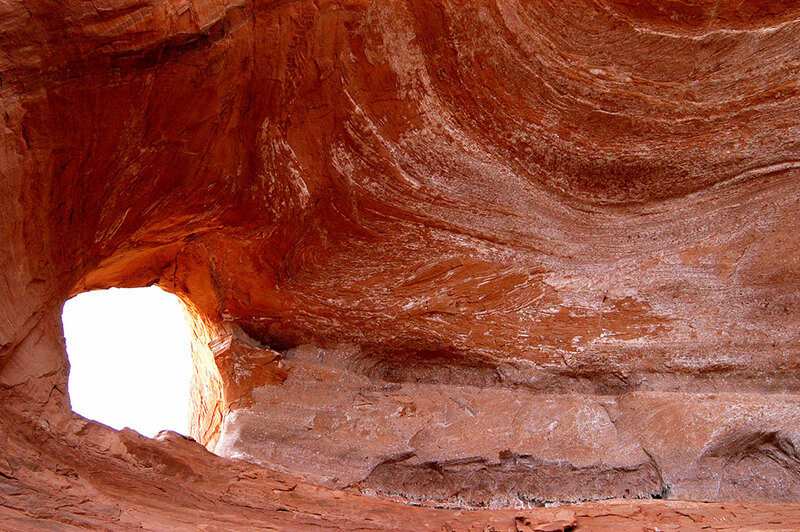 A big part of the popularity of Little Wild Horse Canyon is that it is strikingly beautiful yet easy to access. 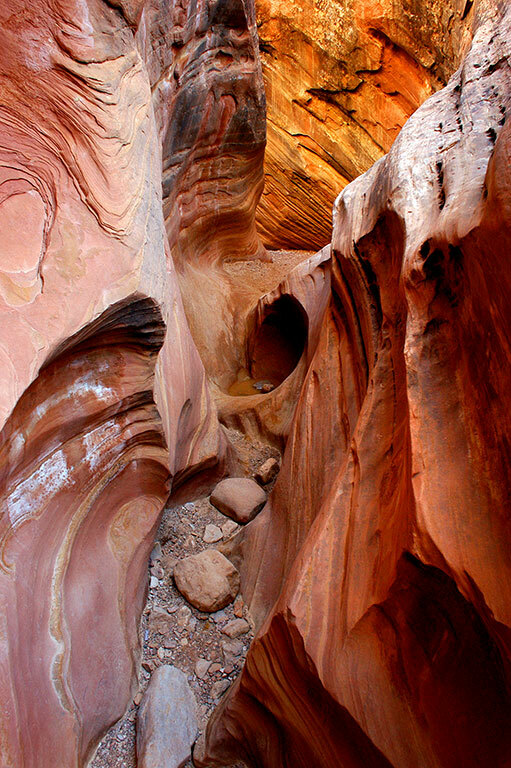 The colors and forms of Little Wild Horse Canyon, created by flash floods and endless years below freezing, take on amazing shapes and colors. 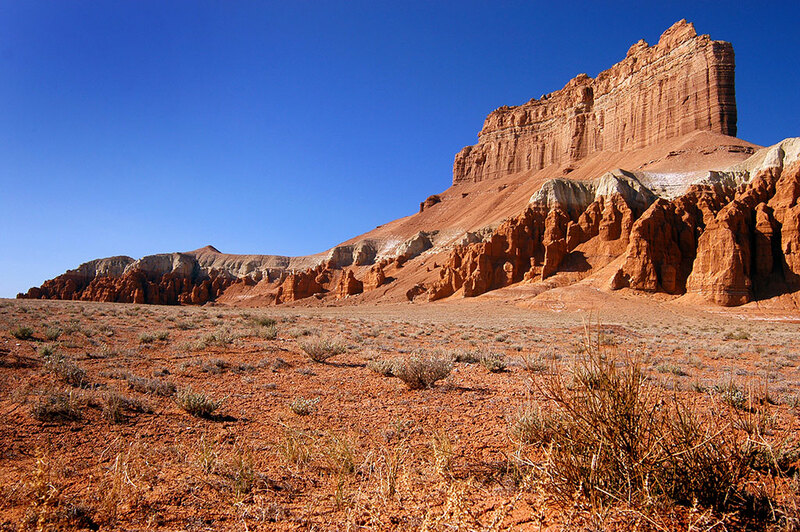 Formations of Little Wild Horse Canyon seem to point the way down the trail. 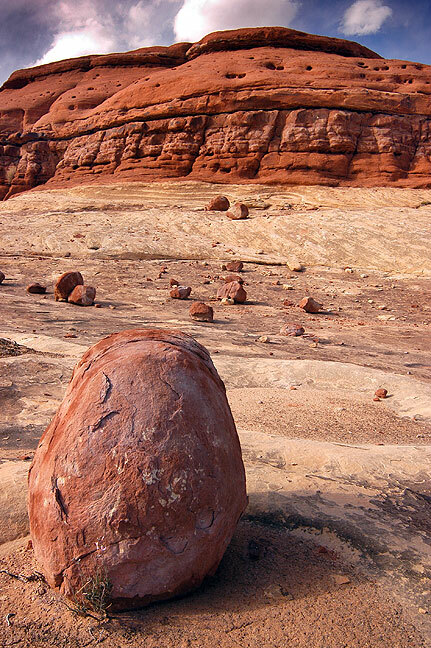 Stones sit on the floor of Little Wild Horse Canyon. 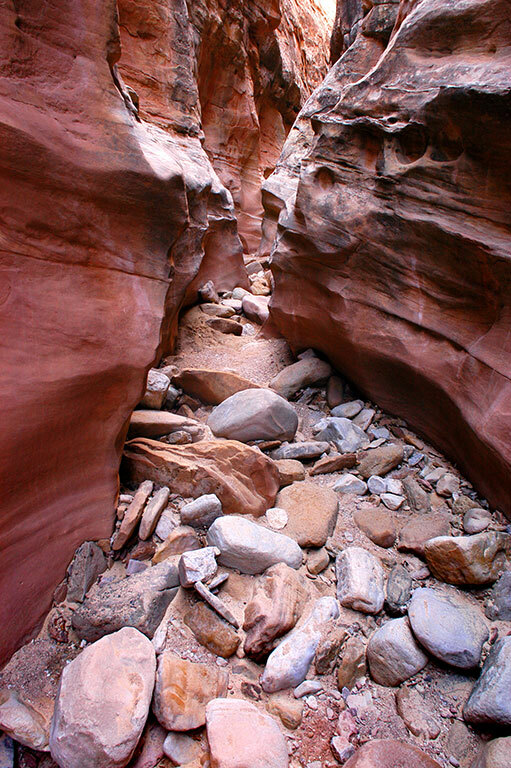 The trail passes under the boulder jammed in the crack to the right. At the north end of the confluence of Little Wild Horse Canyon and Bell Canyon is this handsome peak. 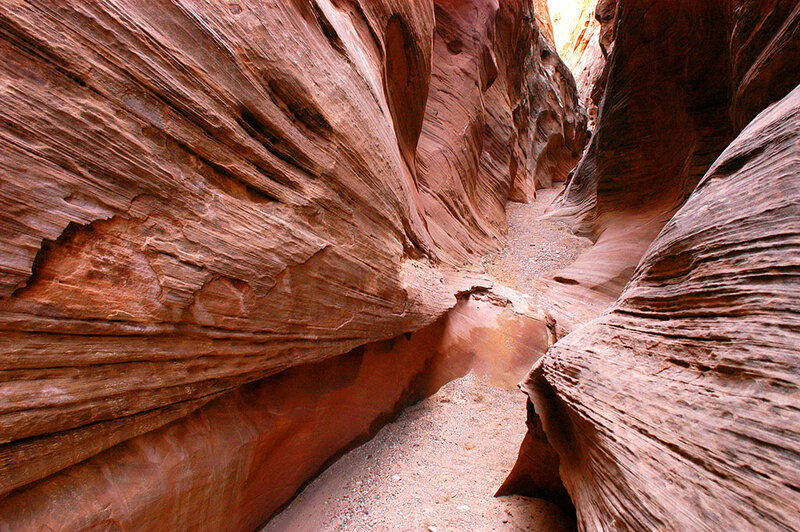 Hiking the loop counterclockwise yields Little Wild Horse Canyon first, then Bell Canyon, pictured here with its distinct patterns of erosion. 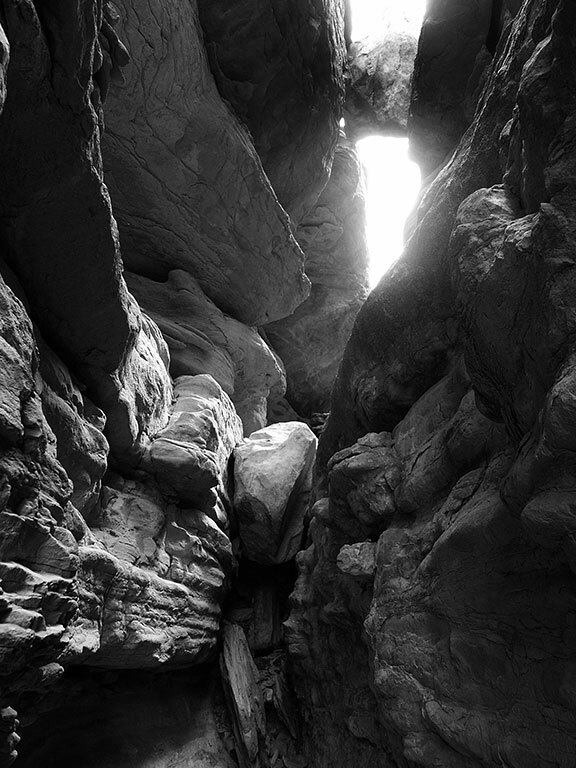 The moodier black-and-white rendition of Bell Canyon captures the cold, lonely feel of the place better. 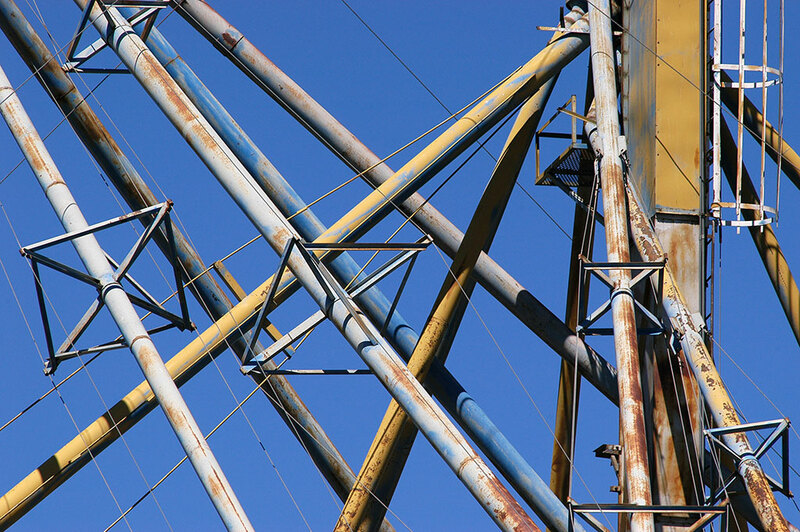 This image of Bell Canyon has very strong lines. 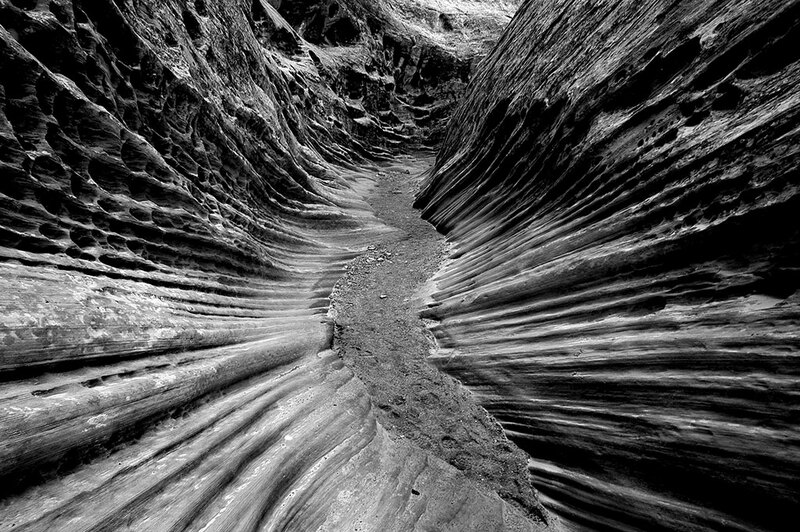 Bell Canyon’s curves are more subtle and intricate than Little Wild Horse, and lend themselves perfectly to black-and-white. 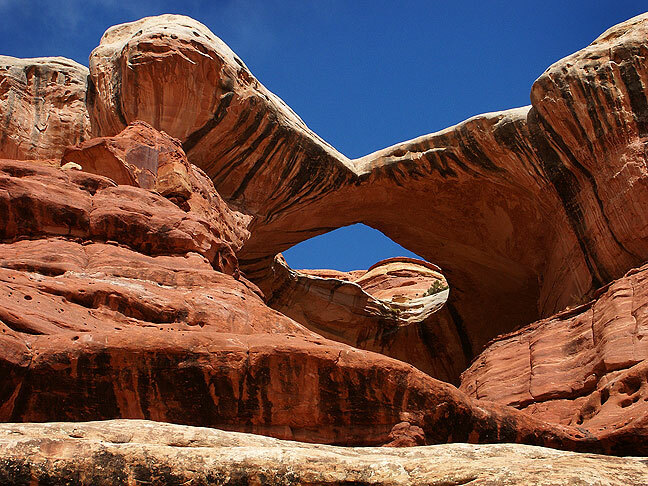 The unusual stone shapes in Goblin Valley result from the weathering of Entrada Sandstone. 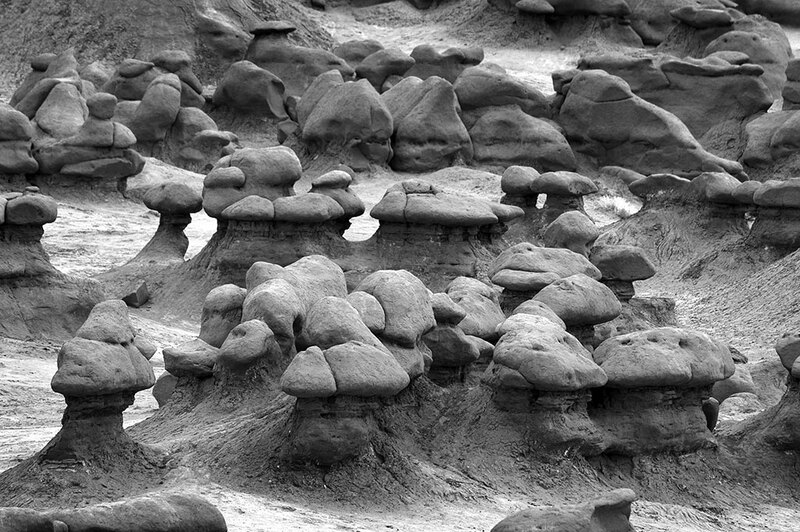 Shot with a 300mm lens, this view of Goblin Valley shows an interesting repetition pattern of the formations. 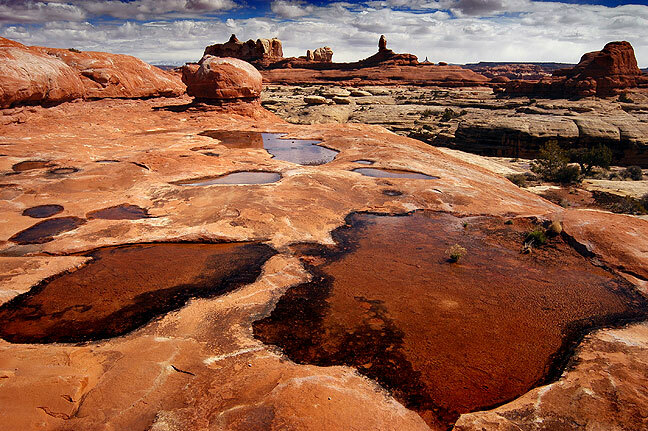 By comparison to the last image, this view, made at 18mm, shows the expansive floor of Goblin Valley. 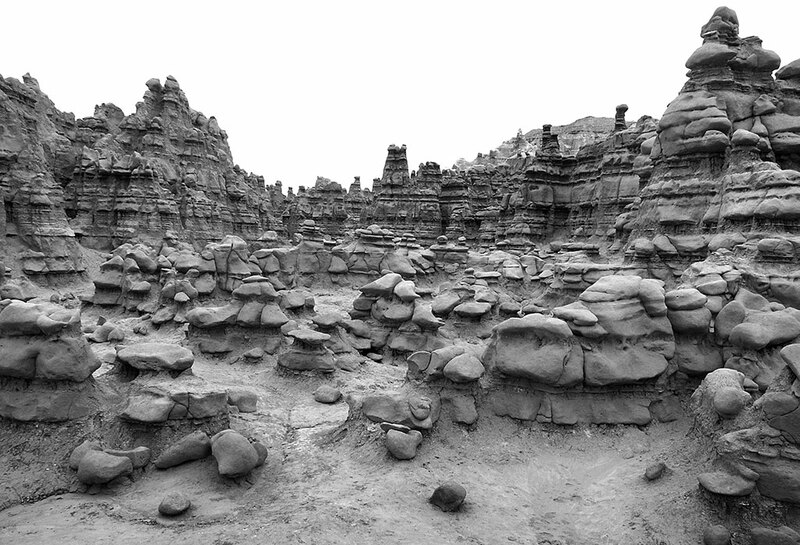 The hoodoos of Goblin Valley can be quite ominous. 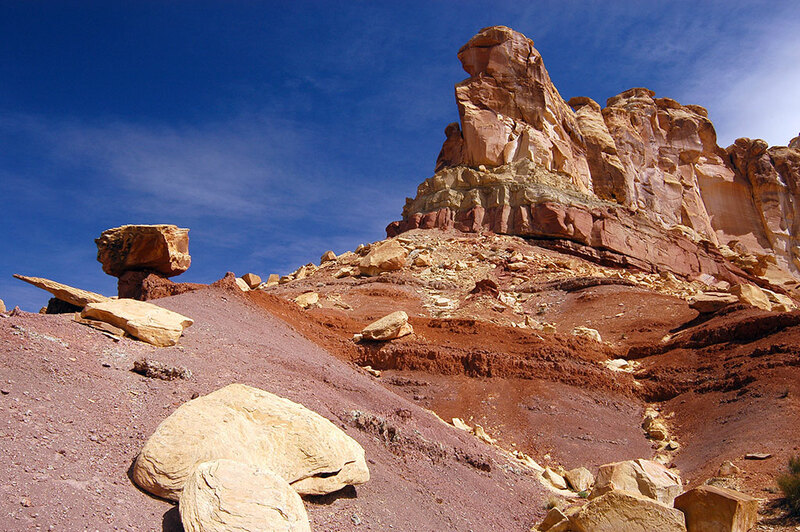 The east end of Goblin Valley becomes taller towers of mudstone. 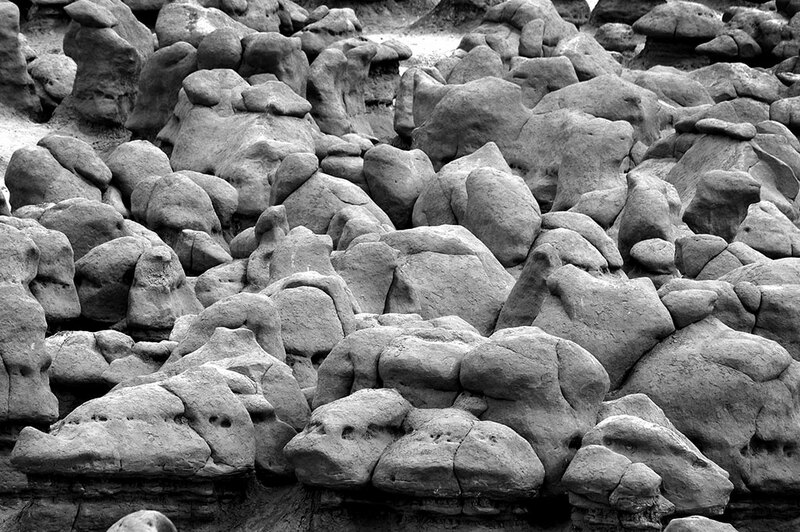 Goblin Valleys expansive collection of hoodoos might best be described as a natural playground. 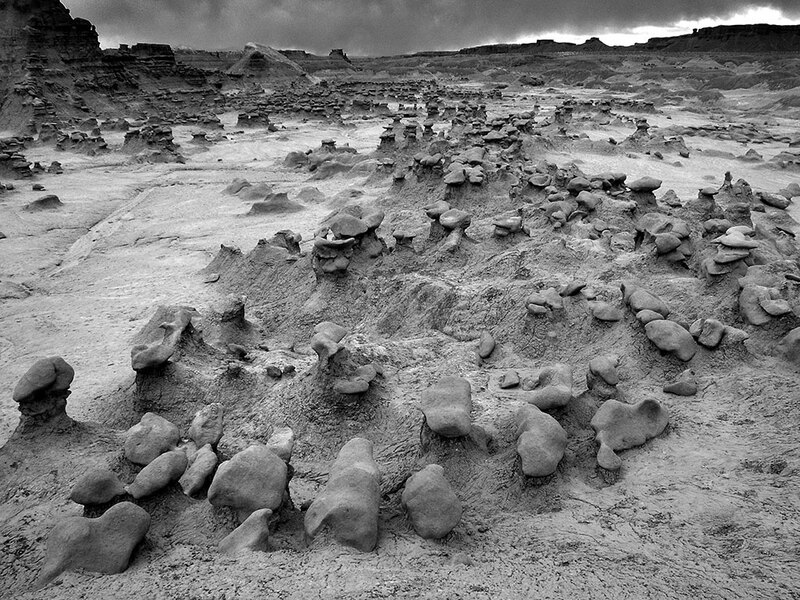 With a thin stratus layer obscuring the sun, I elected to shoot Goblin Valley in black-and-white. 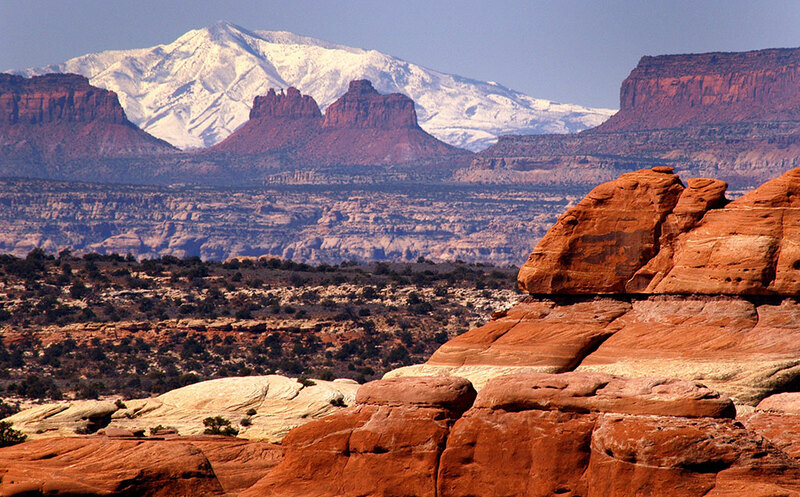 Between the San Rafael Swell and Goblin Valley is the imposing Wild Horse Butte. This is another view of the spectacular Wild Horse Butte. On the way out from Goblin Valley, I stopped to shoot this panograph of Molly’s Castle silhouetted against the Henry Mountains. 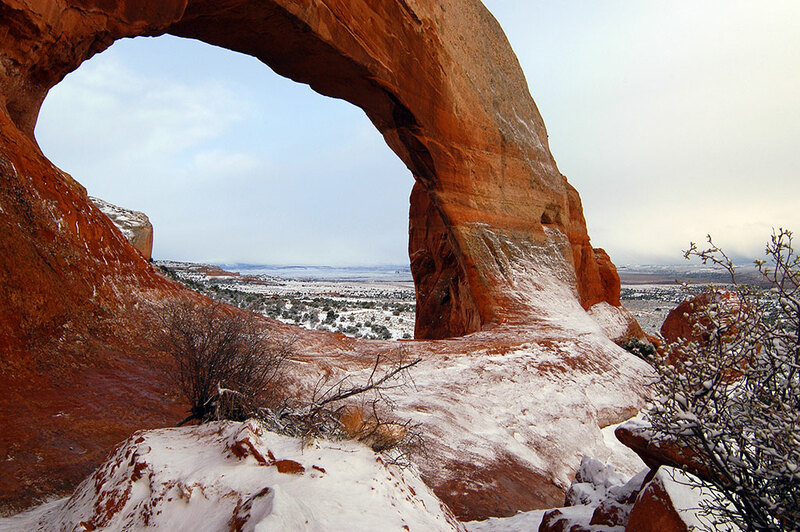 My first stop was Wilson Arch along U. S. 191 south of Moab, shown in early morning snow. 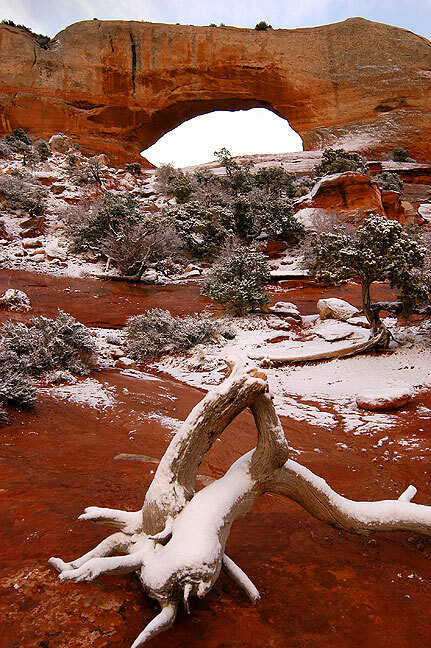 Wilson Arch, like most things we photograph, looks entirely different with a dusting of snow on it. 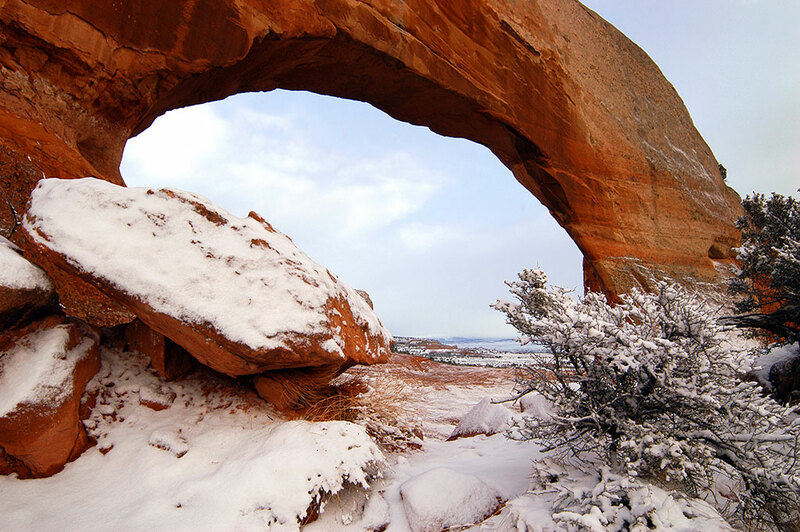 The snow on Wilson Arch also meant I would have the place to myself, and the snow would be undisturbed. 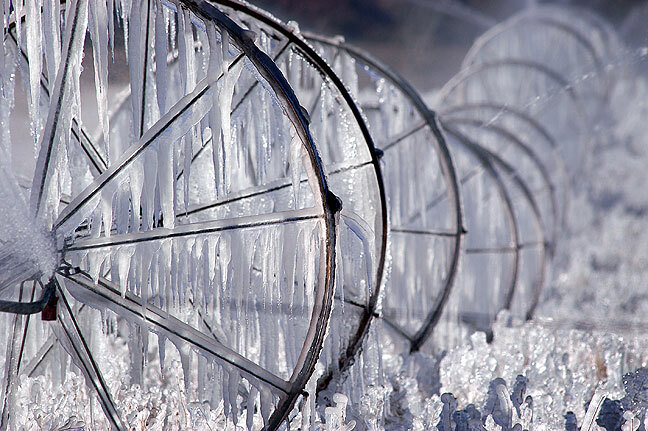 I found these frozen sprinklers in the Indian Creek Valley as I drove to Canyonlands. 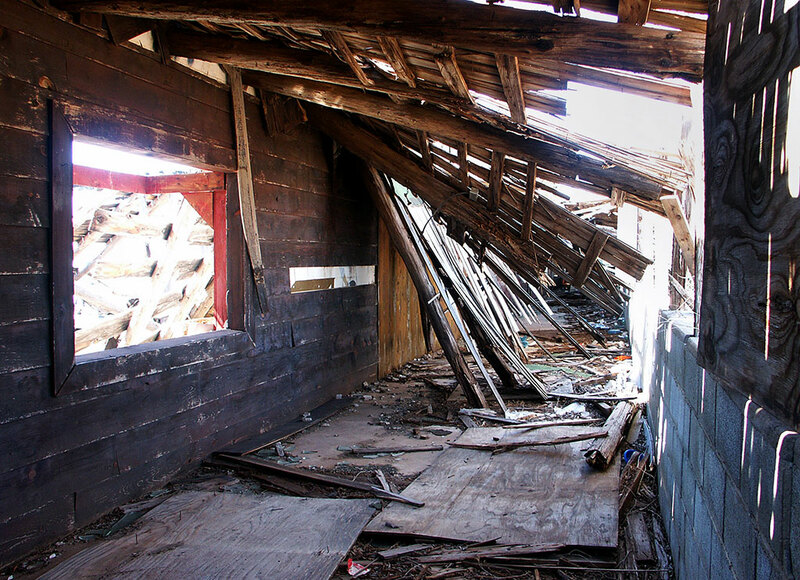 I disregarded a “No Trespassing” sign to make this image. 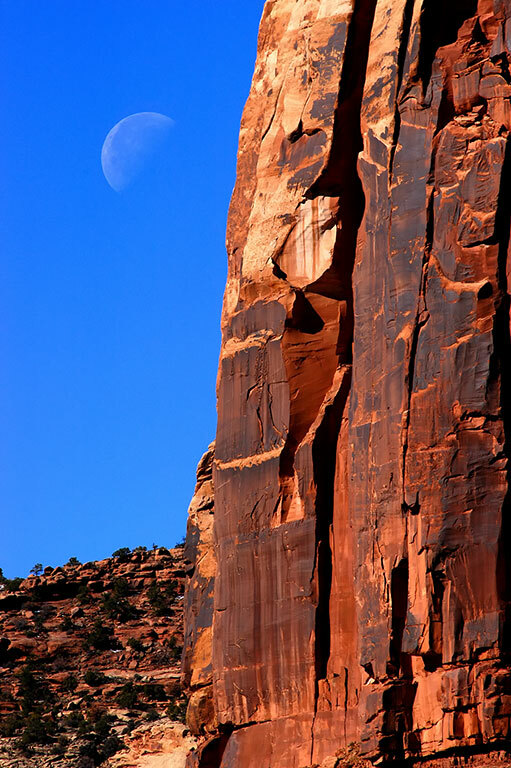 The moon is visible in this image near Bridger Jack Mesa as I drove to Canyonlands. 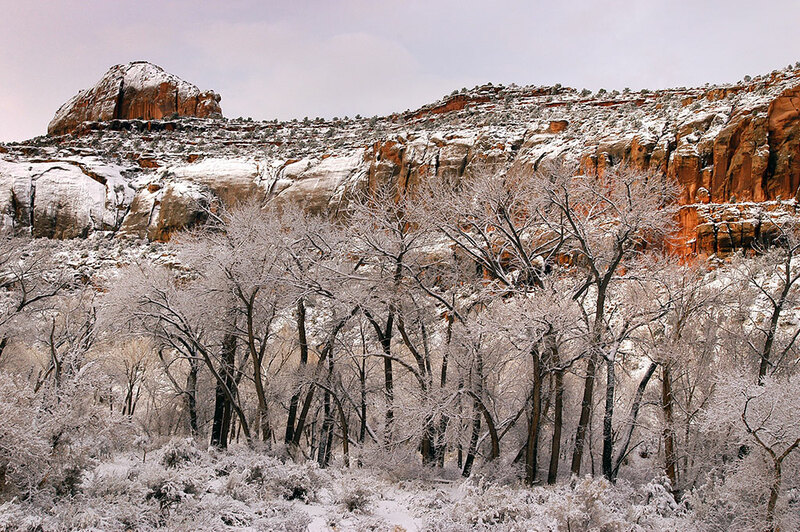 The snow in Indian Creek on the way to Canyonlands was light and wet, and melted off by 9 am. 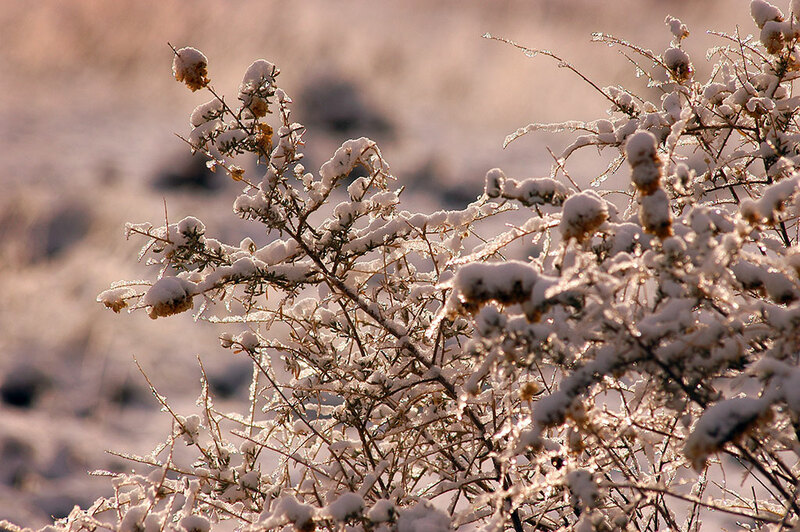 Snow clings to native grasses as I pass thought Indian Creek en route to Canyonlands. 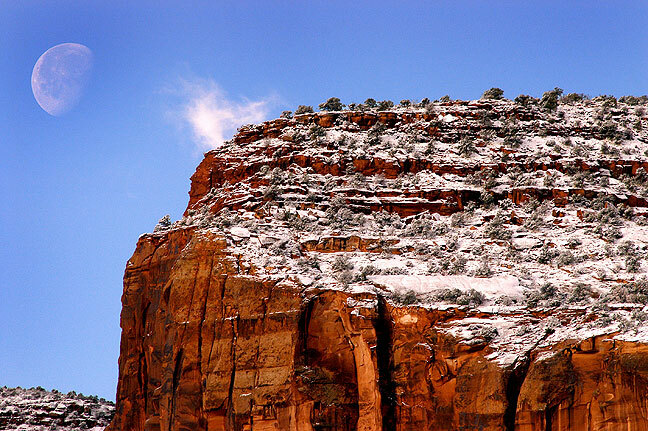 A light dusting of snow clings to Wingate Sandstone cliffs above Indian Creek. 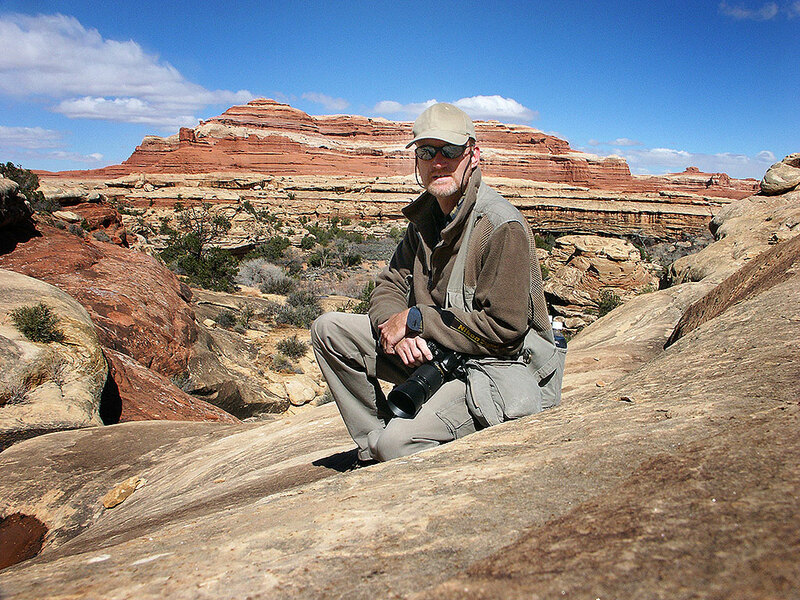 The author poses for a self portrait on the Peek-a-Boo trail. I had an absolutely epic day of hiking. 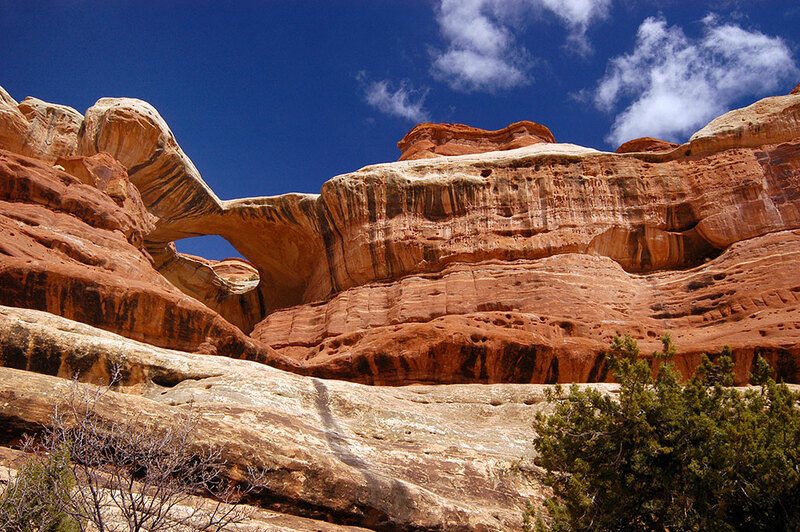 I took the Peek-a-Boo Trail 5.2 miles to its end, where I hiked another two miles to a beautiful natural arch with the crass name “Paul Bunyan’s Potty” in driving, cold, whipping wind. 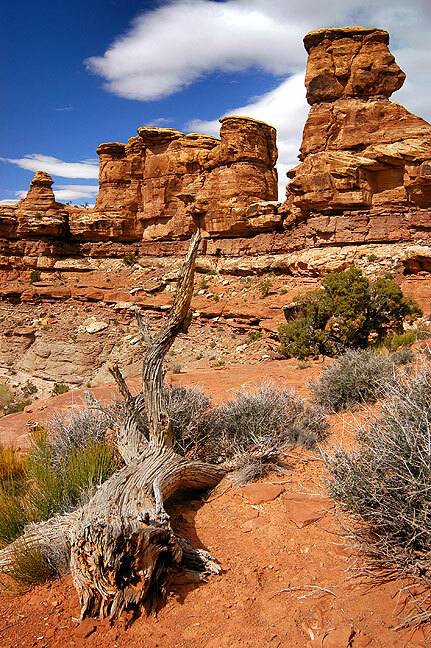 A juniper clings to a crevasse in slickrock on the Peek-a-Boo trail in the Needles district at Canyonlands, with the Needles visible in the distance. 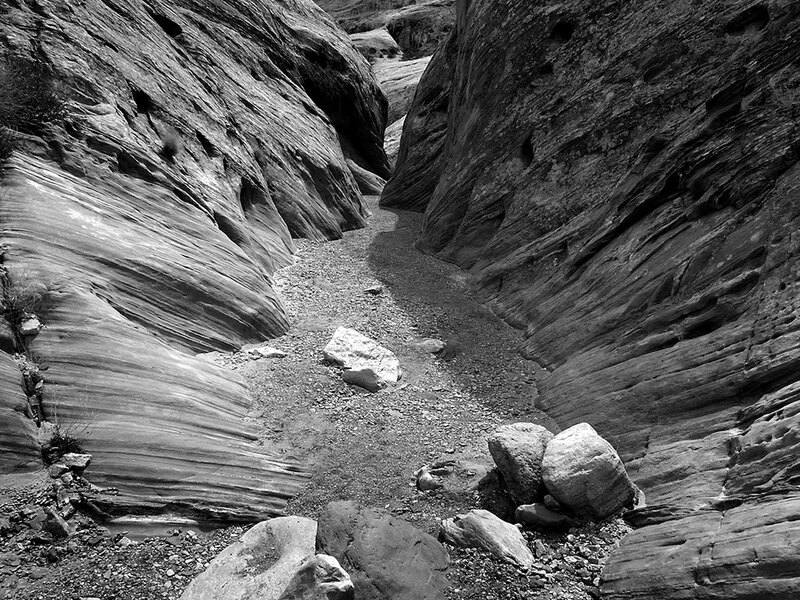 Deadwood lays in a temporary stream near the Lost Canyon junction. 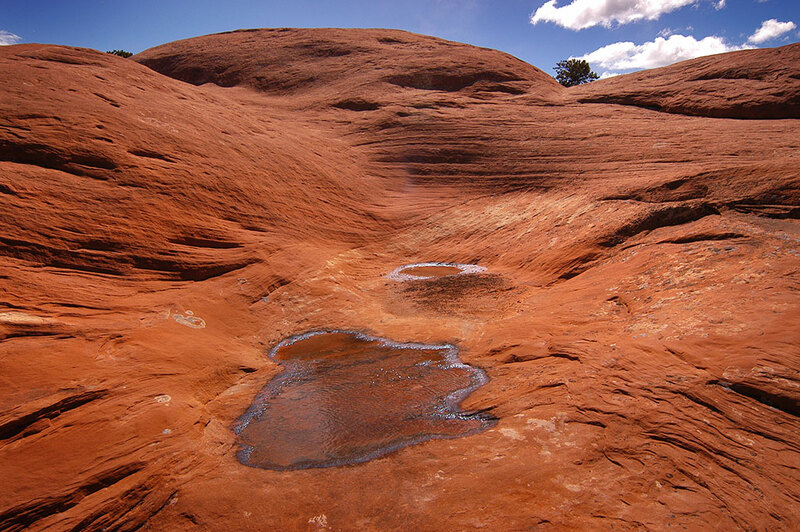 Deep red-tinted slickrock holds a delicate puddle on the Peek-a-Boo trail. 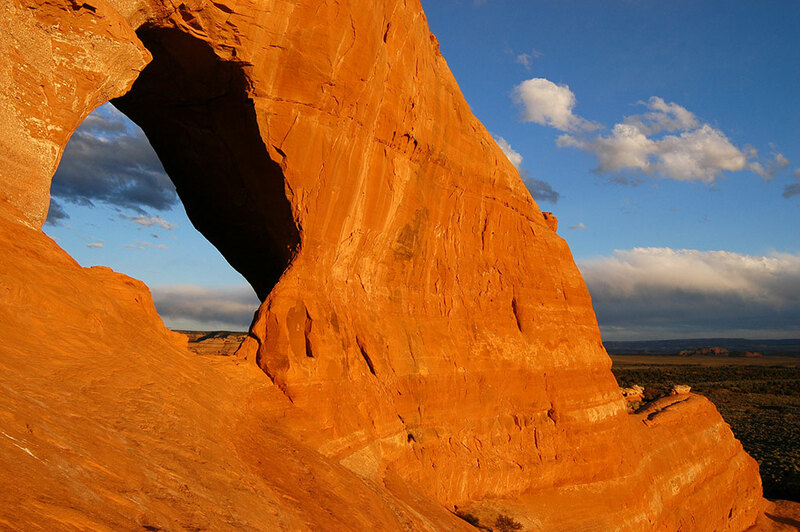 Past the end of the Peek-a-Boo trail is a two-mile road, which is also accessible by Jeep at certain times, that leads to a huge natural arch called Paul Bunyan’s Potty. This closer view of Paul Bunyan’s Potty hopefully expresses the stature of the formation. At the end of the Peek-a-Boo Trail I hiked another two miles along a Jeep road to this large natural arch named Paul Bunyan’s Potty. 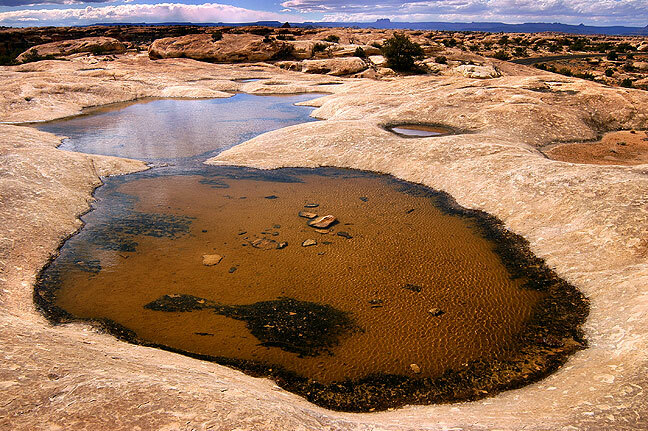 Potholes along the trail: Park Rangers warned me that some of these might be frozen. This is a slickrock bench above Lost Canyon on the Peek-a-Book trail. 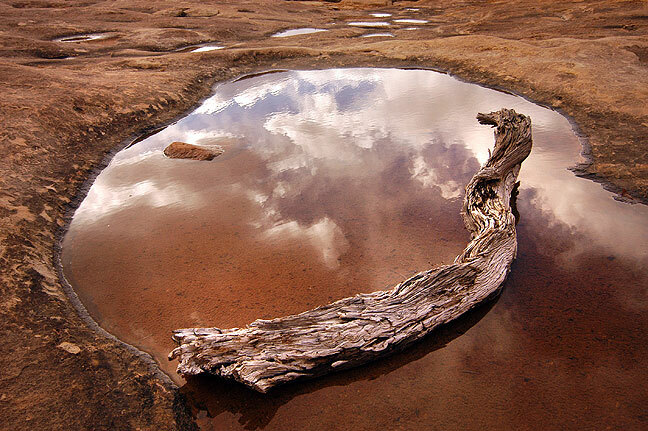 I made this image of deadwood in a pothole near the Peek-a-Boo trail head as I finished my hike. 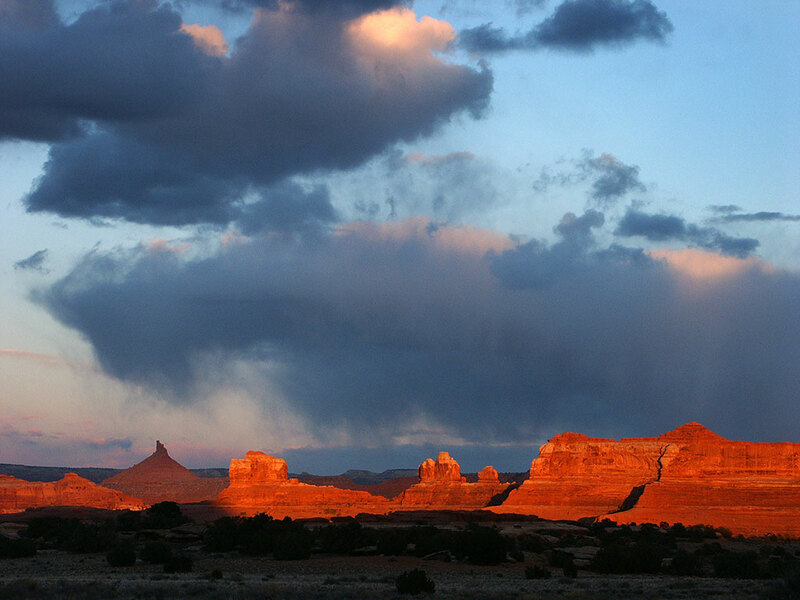 The sun sets near Squaw Flat in Canyonlands. 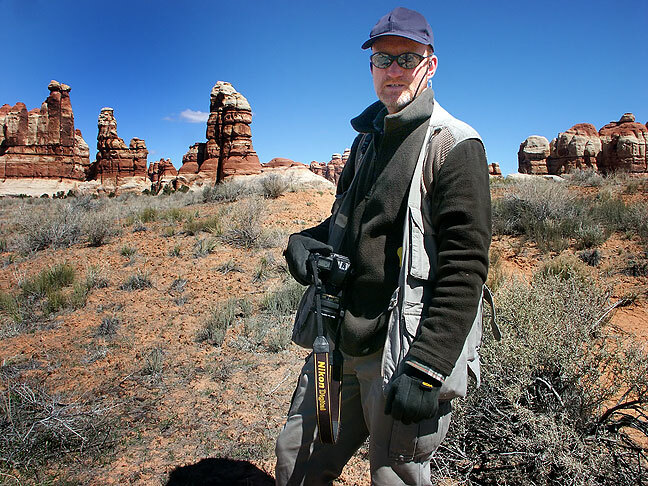 The author hikes in the cold at Chesler Park, Canyonlands. I made this image by hanging one of my cameras from a juniper branch. 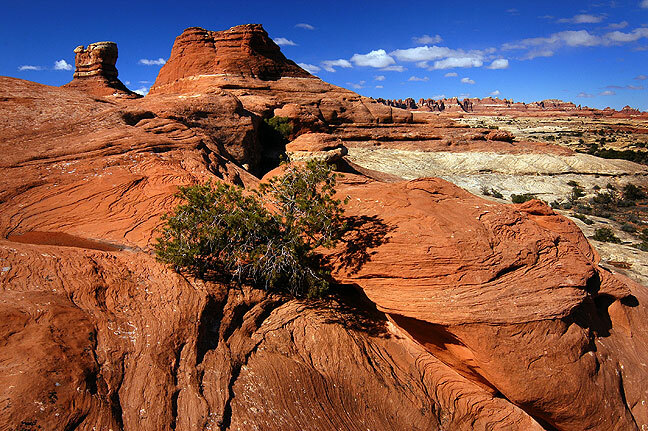 I hiked from Squaw Flat to Chesler Park, one of the best features of The Needles. The trail itself is spectacular. Starting from the campground instead of Elephant Hill allowed me to see much more of the Needles. 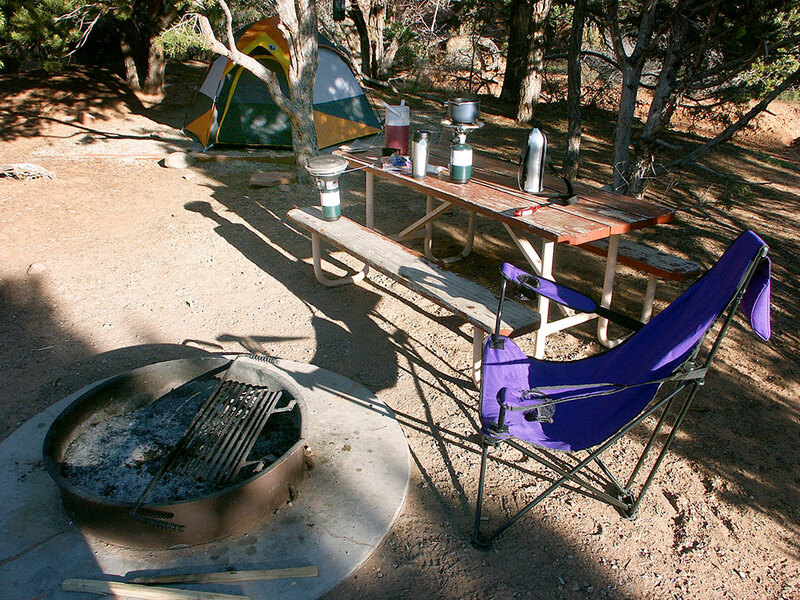 This is my camp site in the Squaw Flat Campground. It was quiet and private, and I slept well despite the cold. 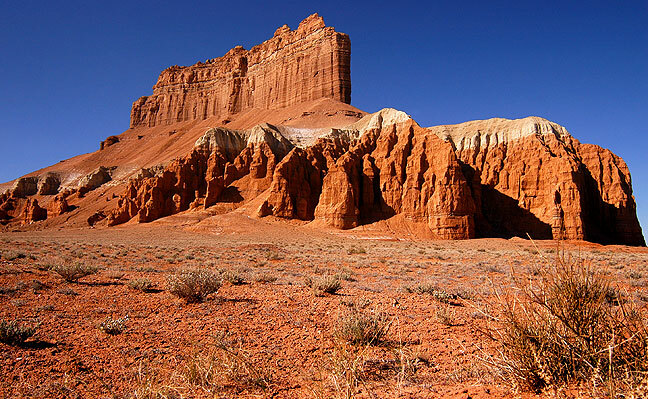 These spires decorate the landscape all along this trail. 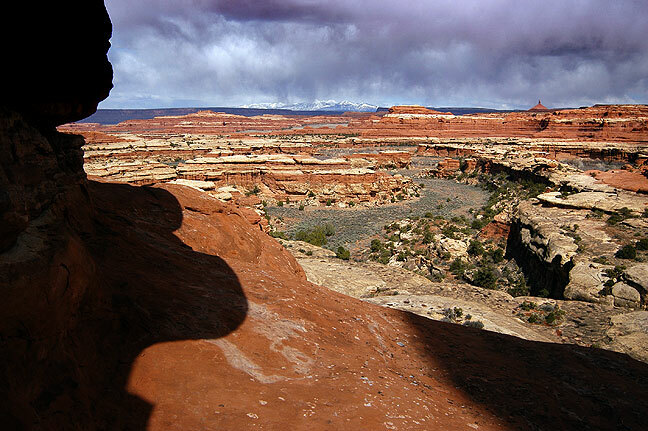 A short spur trail leads to this overview of Elephant Canyon. Trails that serpentine through canyons and benches like these are my favorite. This view from Chesler Park looks west toward The Maze district and the Henry Mountains beyond. 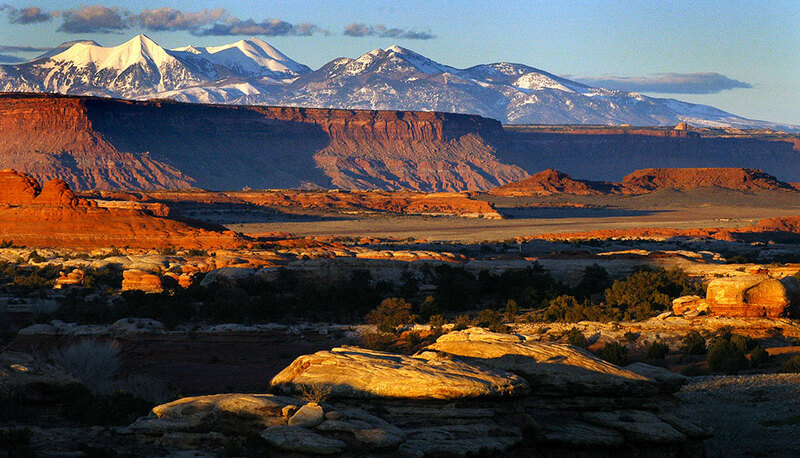 This Chesler Park view looks north with Junction Butte prominently in the distance. 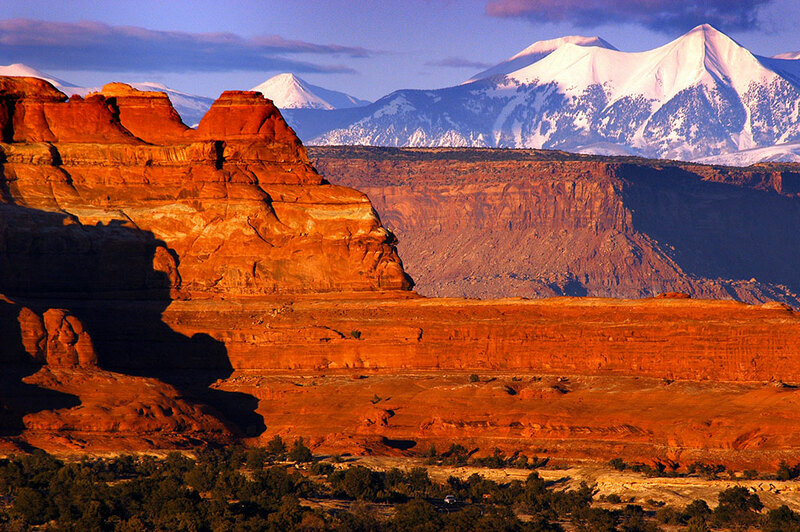 Elaterite Butte is across the Colorado River from Chesler Park. 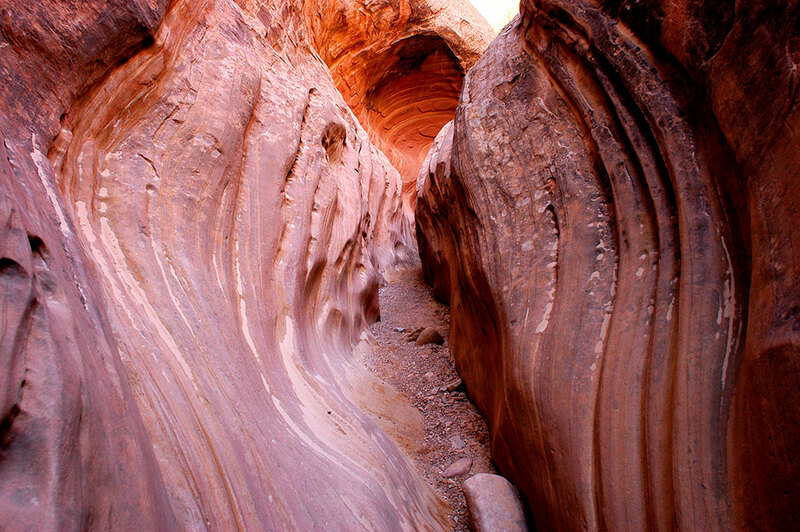 Layers of sandstone along the trail. 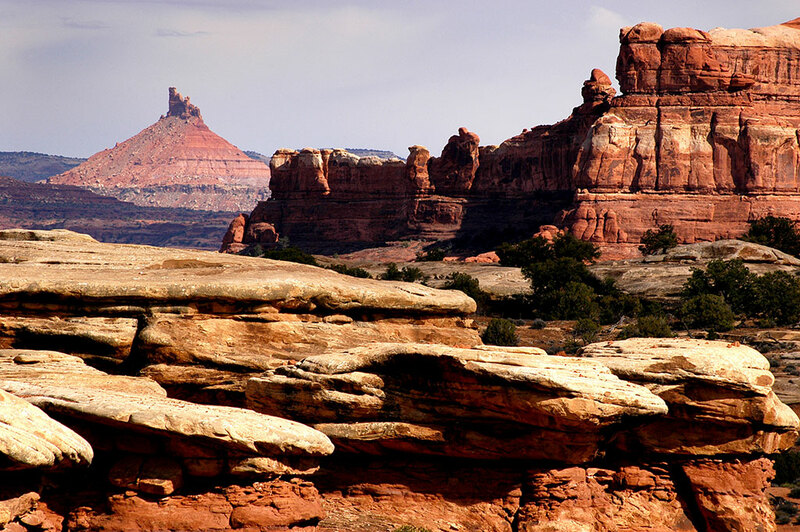 This view shows a flat area surrounded by spires deep inside Canyonland’s Chesler Park. Back at camp after a long, full day of hiking, I searched for a short spur trail where I could shoot the sunset. 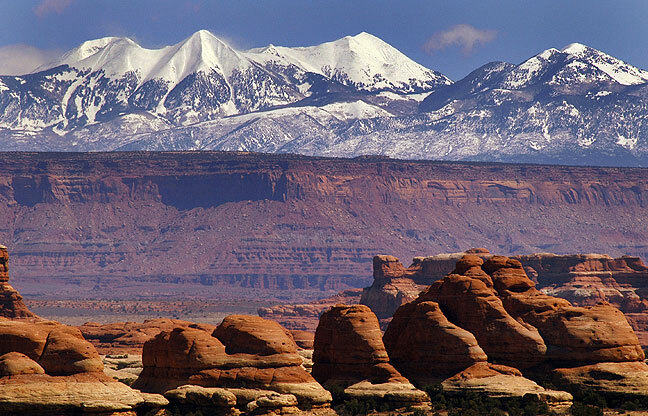 Formations in The Needles District of Canyonlands are set against a background of the La Sal Mountains. 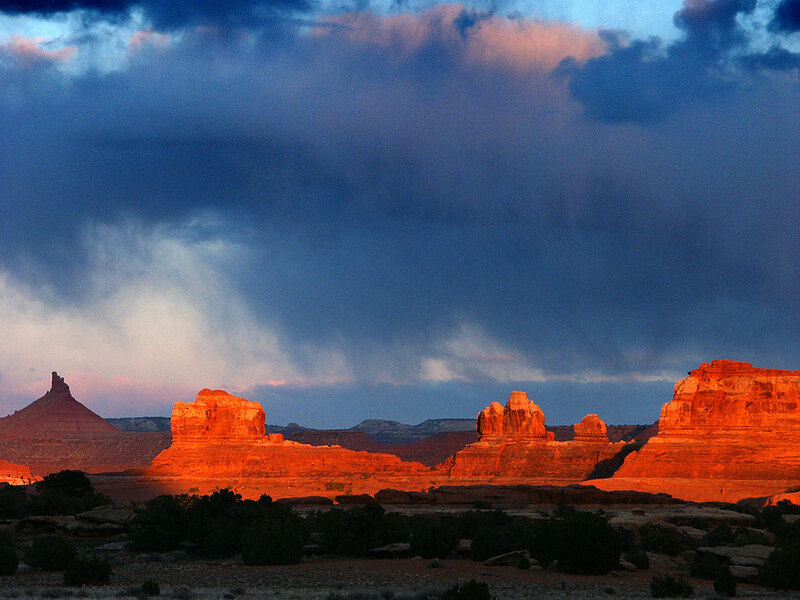 The sun goes down in The Needles District at Canyonlands. The sun sets along a slickrock bench about half a mile down the Chesler Park Trail from Squaw Flat Campground. 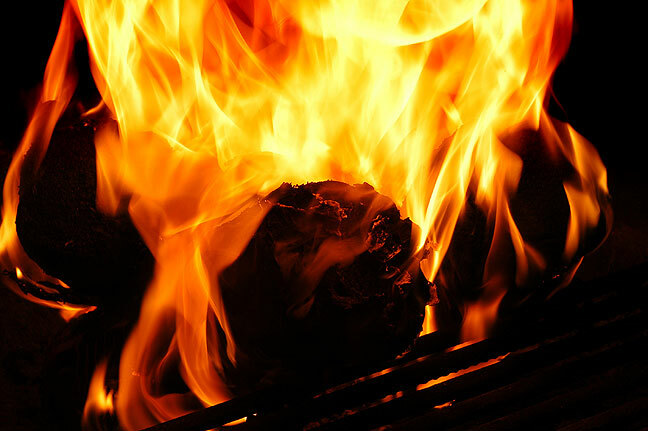 In camp, it was another cold night with a huge fire in my fire ring. This is my fire in the fire pit at Squaw Flat Campground. It is actually a logamid of three Duraflame logs, and it kept me exceptionally warm during some of the coldest camping I have ever done. On the road home, I stopped at Hovenweep National Monument, with ruins architecturally similar to Chaco Canyon. The trail was just two easy miles, and provided a nice wind-down from the long hikes all week. Finally I stuck out on the long drive east, and the long-awaited warmth with Abby. As much I would have loved to have her along, some of my adventures on this trip were in very cold and windy conditions most of the time, and Abby hates the cold. I made this moonset image as I made my way east. 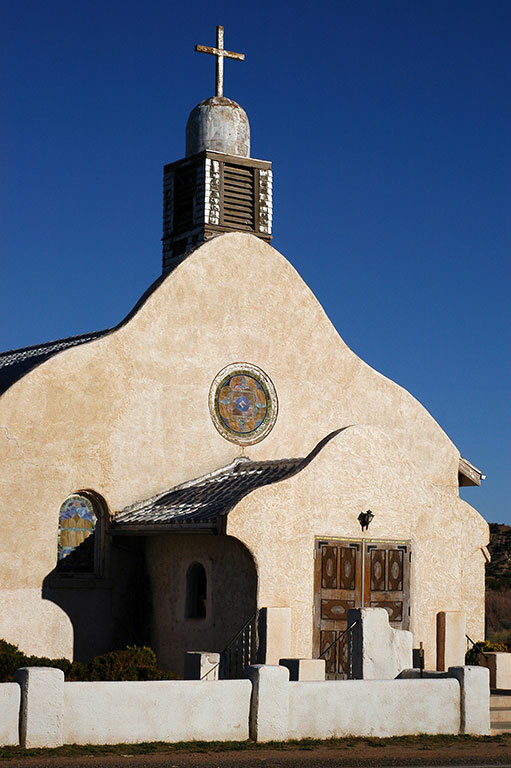 Abby and I photographed this Church in San Ysidro, New Mexico in July 2003. 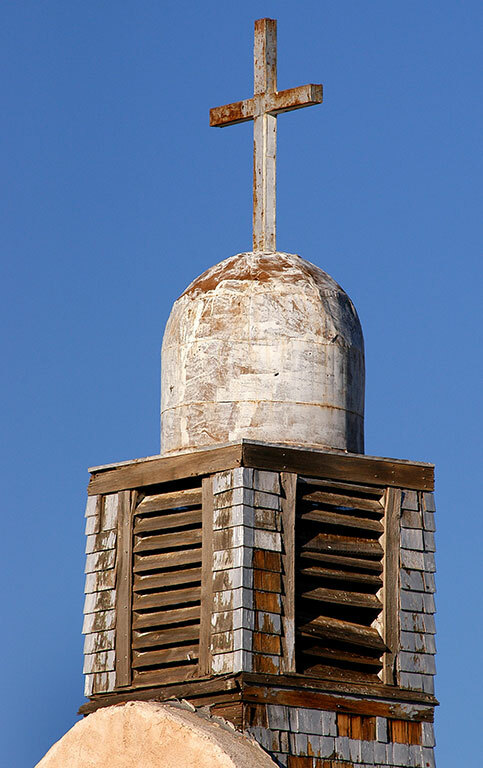 The weathered steeple at this church in San Ysidro, New Mexico is quite photogenic. 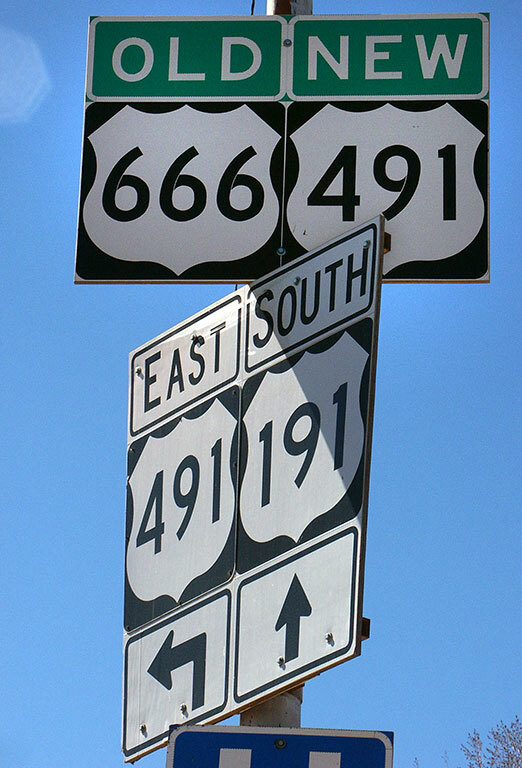 Many of my friends and I were astonished and disappointed that the name of this New Mexico highway was changed due to irrational superstition. For the record, there is nothing significant in any way about the number 666. I pass grain elevators along the Interstate all the time, but on this occasion the light and color came together just right. Each time I pass this decaying Pioneer Museum and filling station near exit 284 east of Santa Rosa I find it more and more decayed. 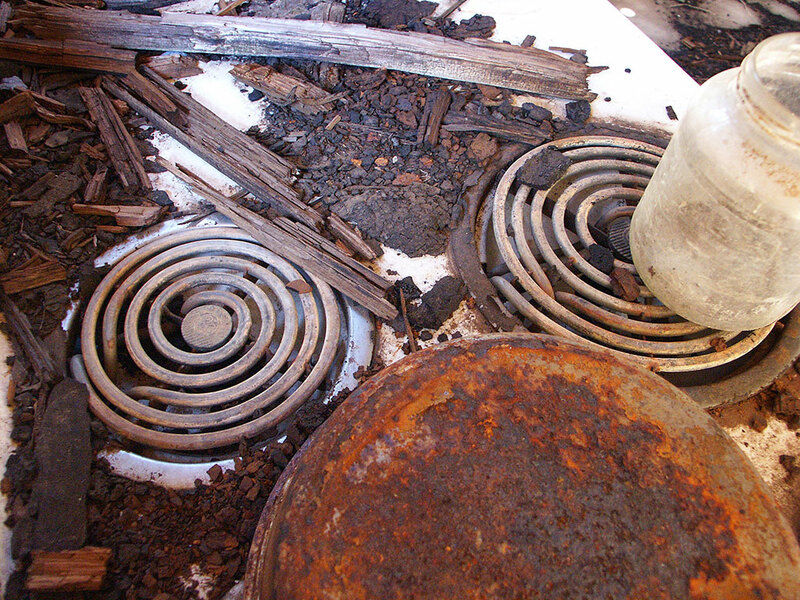 The kitchen at the Pioneer Museum looks like it was abandoned suddenly. 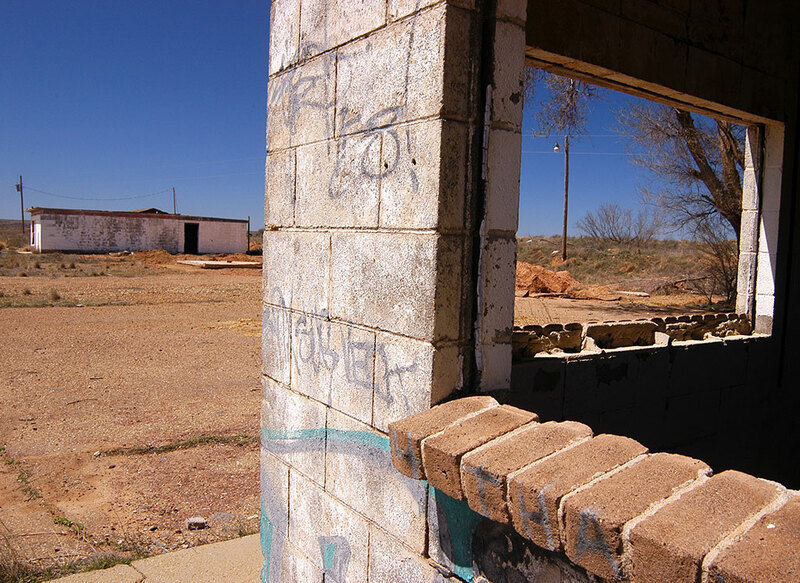 This abandoned rest stop along Interstate 40 looked like it was about to be torn down, or about to fall down. The next time I came through the area, it was gone. 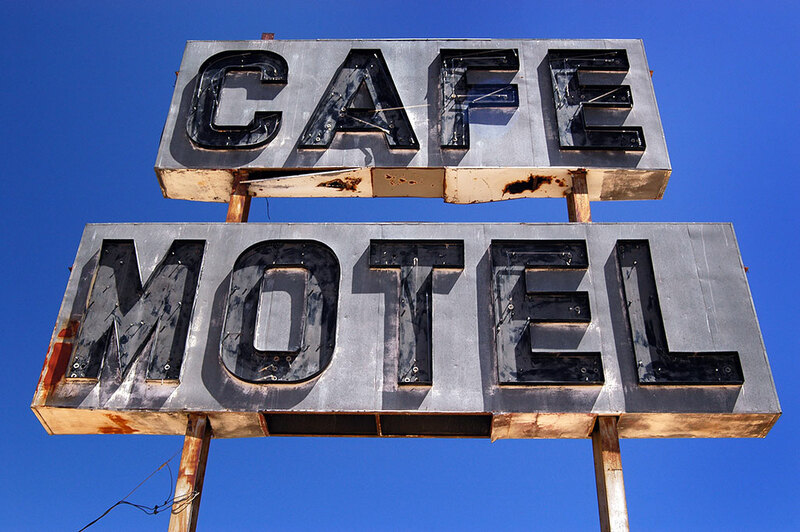 Shown from the interior of the abandoned Café Motel, this image shows how old and decaying it is. Years after I made this image, the property was finally purchased, and this feature was torn down to make way for a Russell’s Travel Plaza. 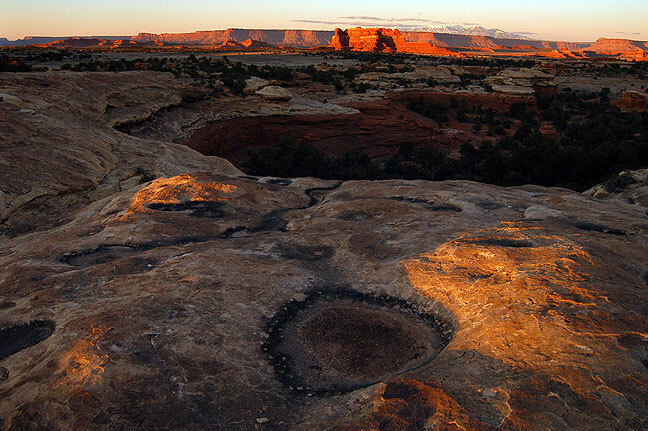 Over the years, Canyonlands National Park has become one of my favorite place in the world.